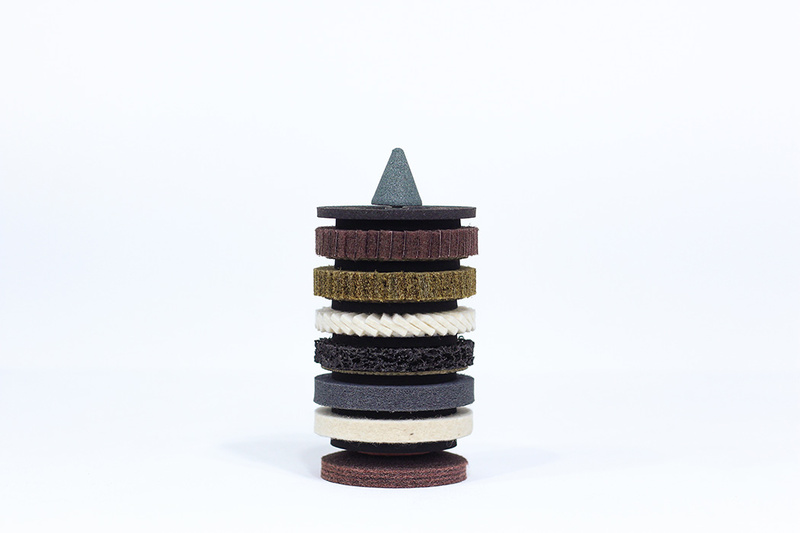 For most of history, the traditional timepiece was purely defined by its aesthetics. 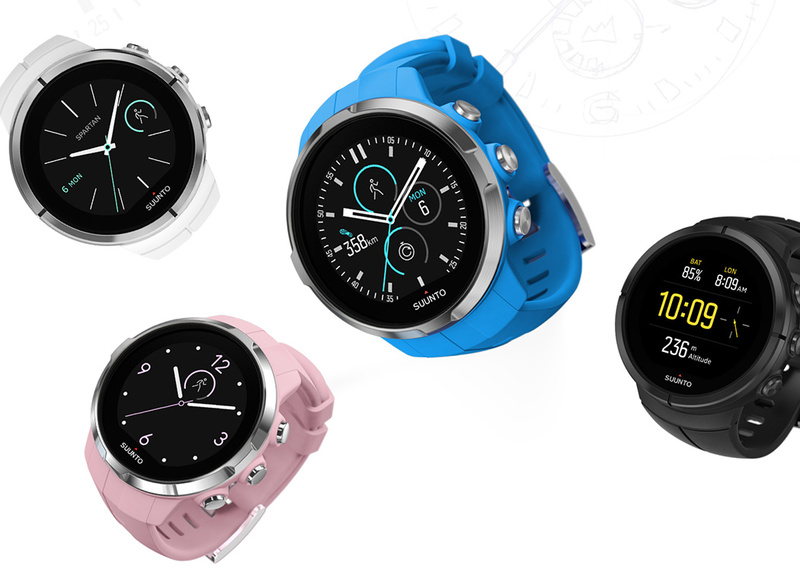 For today’s smartwatches, it’s all about the guts! 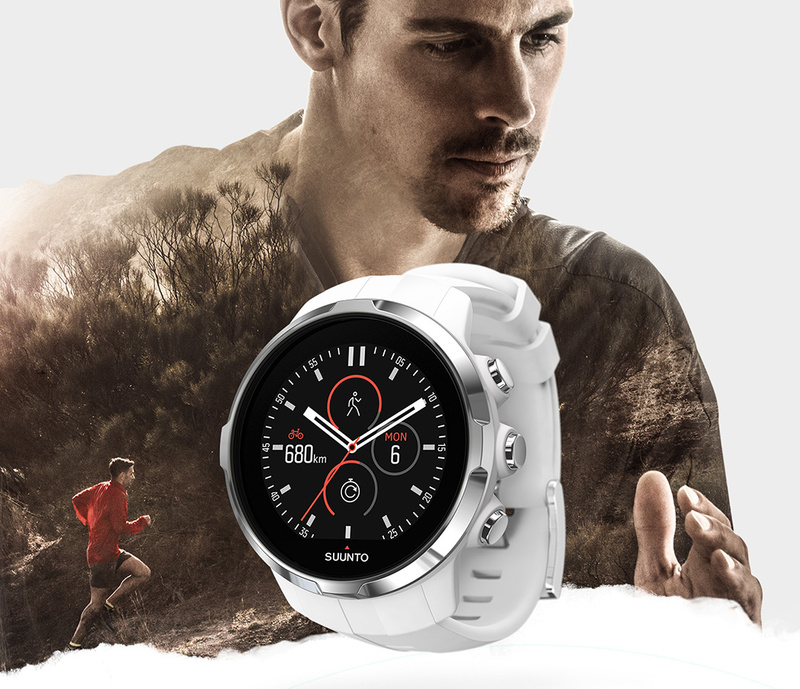 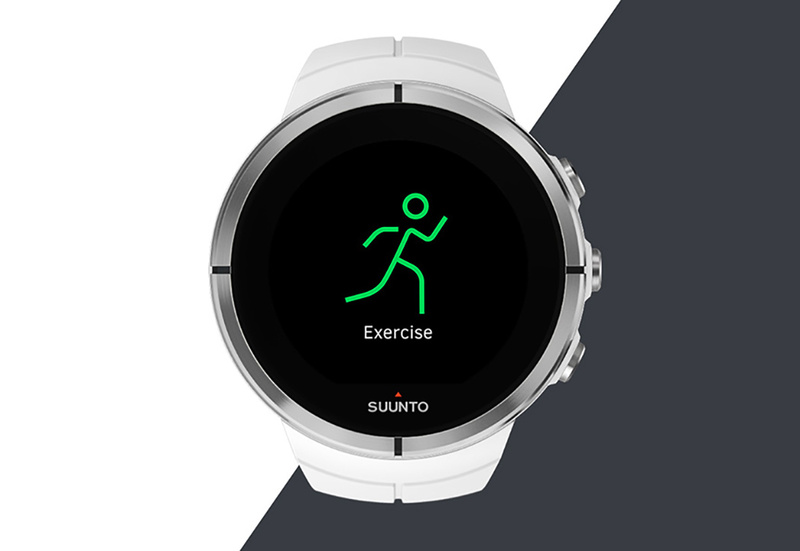 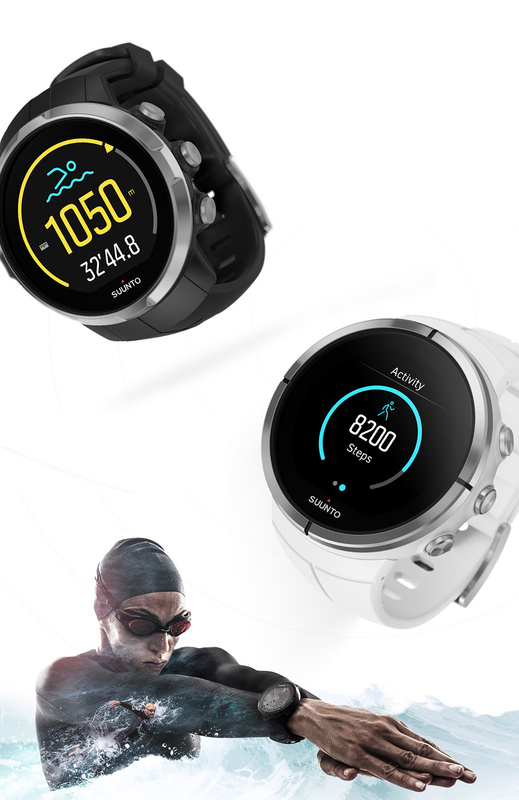 Suunto’s collection of Spartan smartwatches highlights its robust package of smart sports-optimized features with an elevated user interface designed by Kallan & Co. 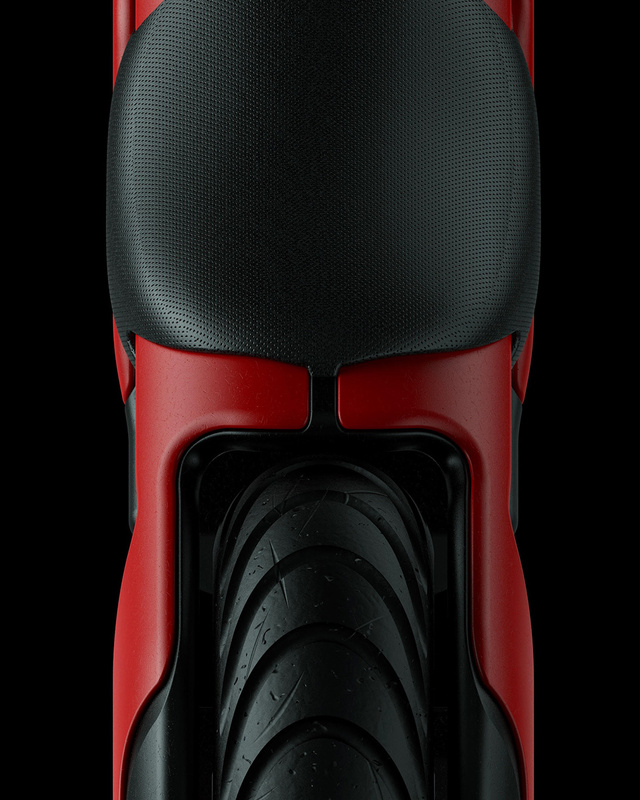 Most impressive is that no part of the design’s face is spared from use. 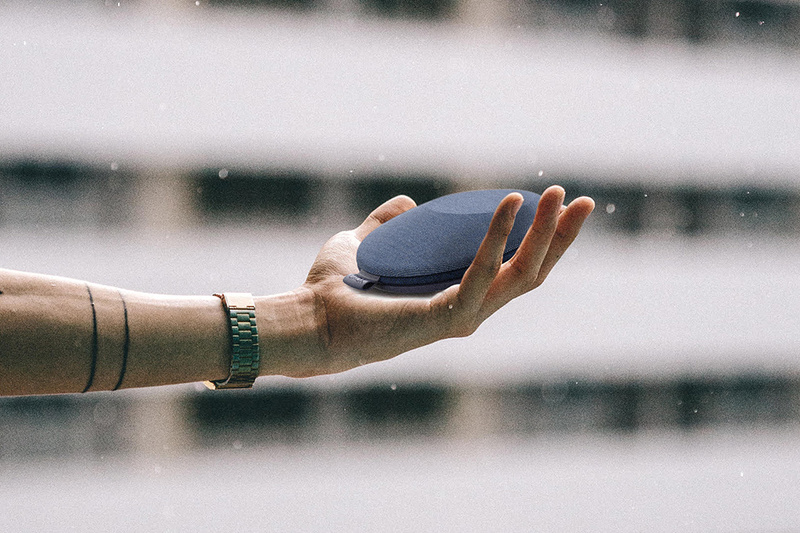 Between sport-specific data tracking to real-time sleep analysis, there is a massive amount of data to be presented to the wearer, so each section of micro real estate serves a purpose. 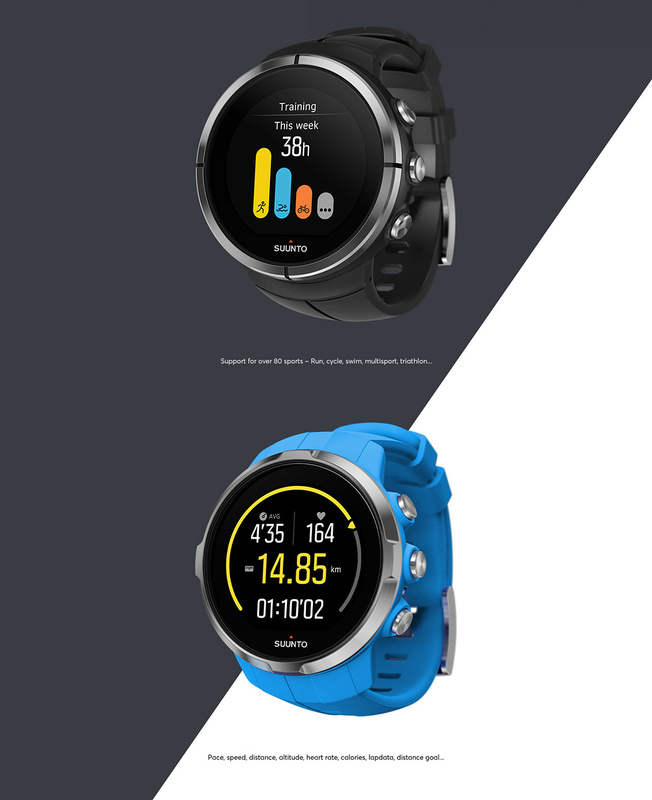 Organized in an intelligent and easy-to-navigate way, its large state-of-the-art touchscreen makes it easy to review your stats and check live vitals whether you’re swimming or competing in a triathlon. 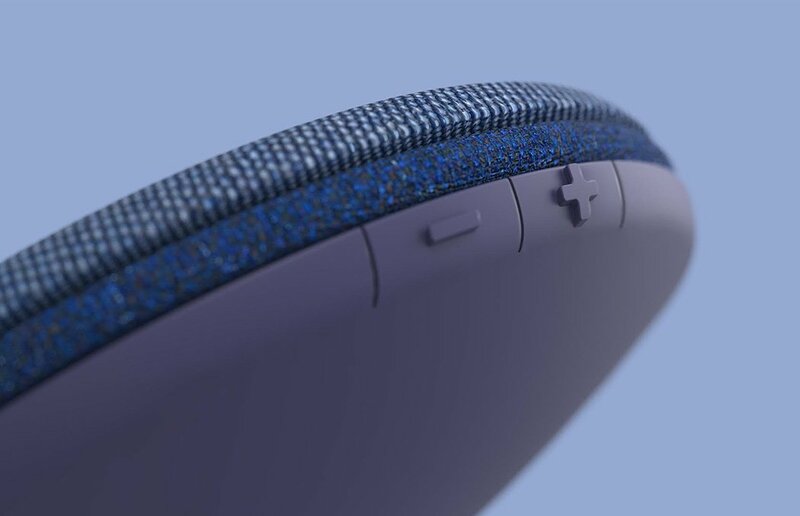 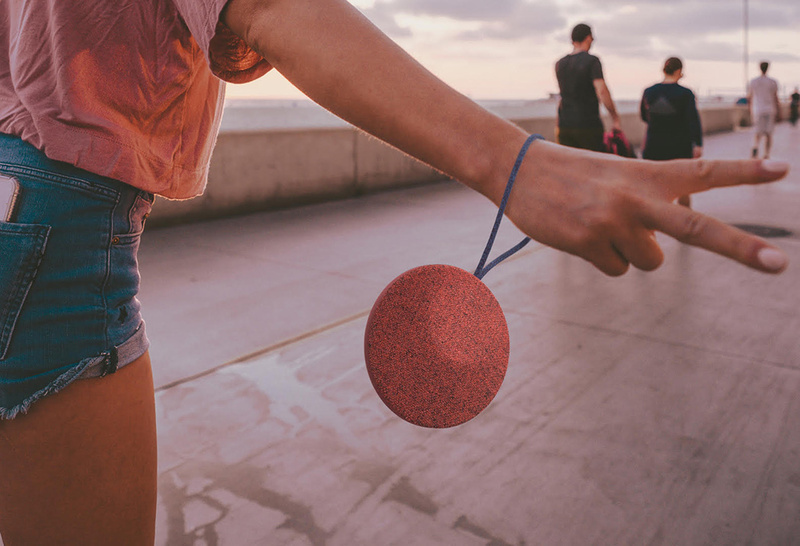 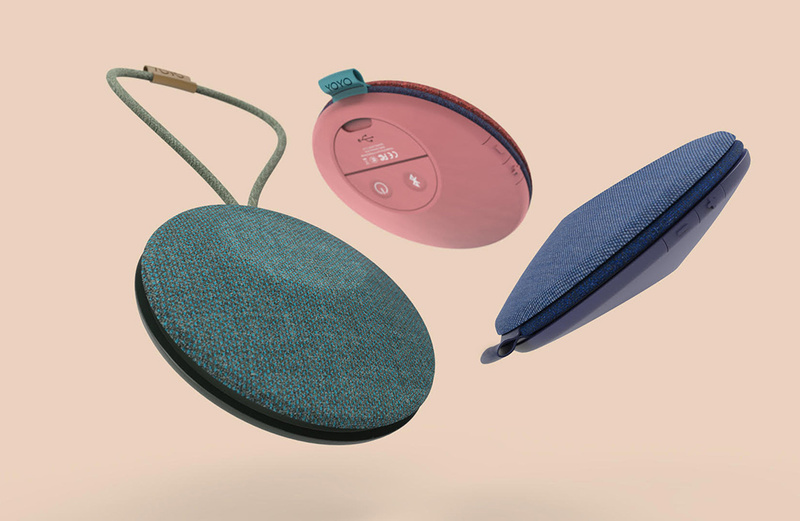 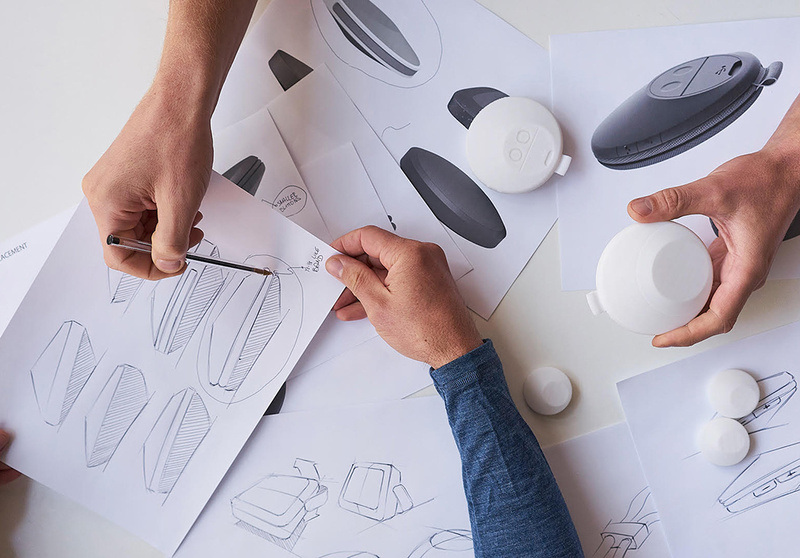 The YOYO speaker earns its namesake for the innovative strap design that makes it easy to carry. 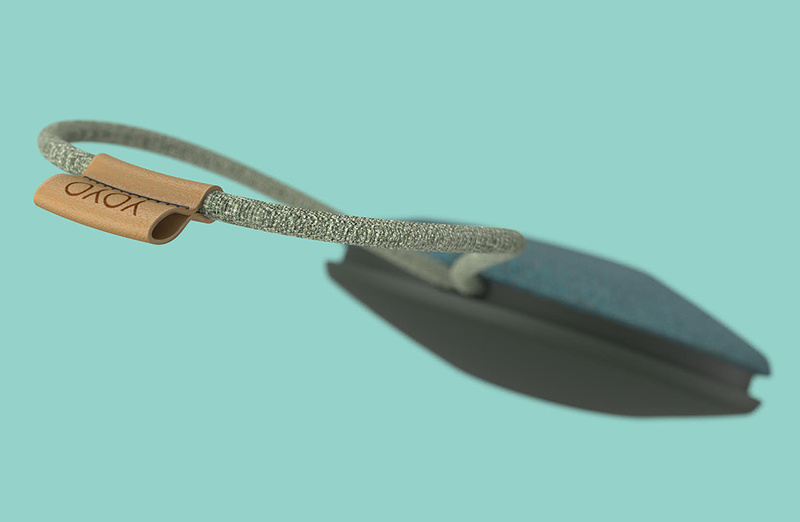 The strap can be concealed simply by wrapping it around the middle and released with one swift pull. 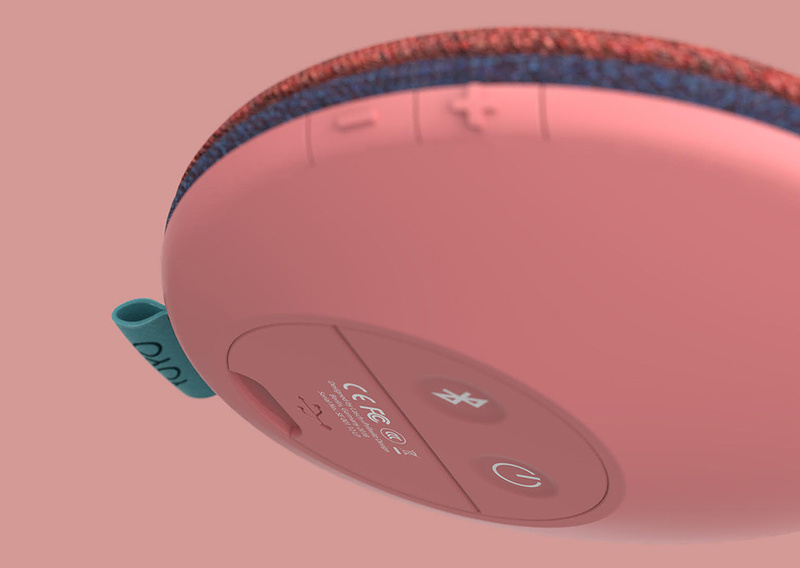 Once released, the wireless device can be hung on your bicycle handles, a tree while you picnic, or a backpack during a hike. 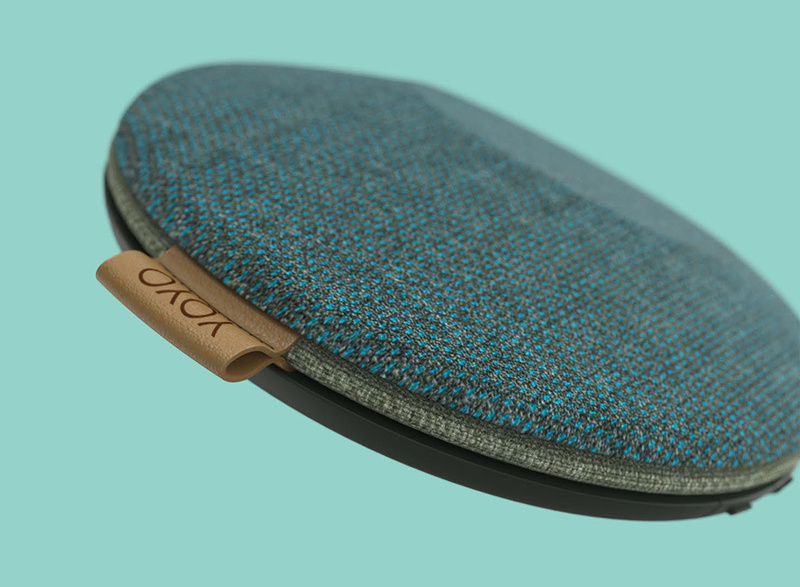 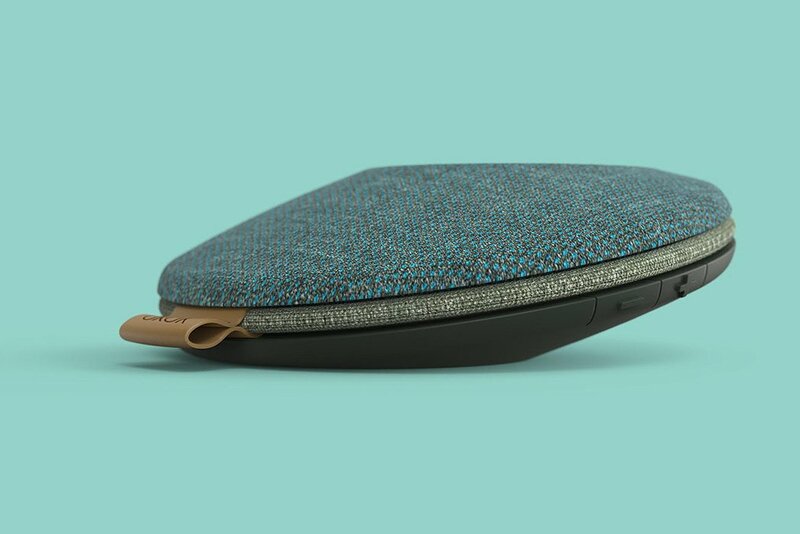 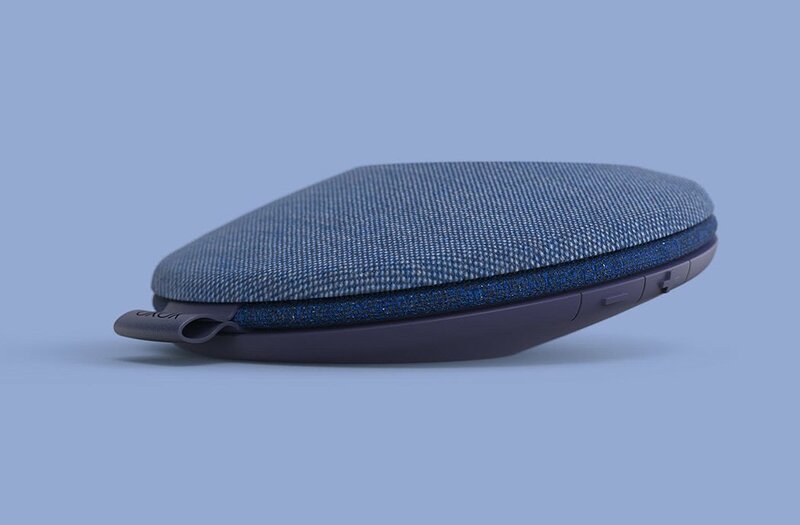 Covered in a waterproof tweed-like fabric that comes in a variety of vibrant hues, there’s one to match every user’s distinct taste and style. 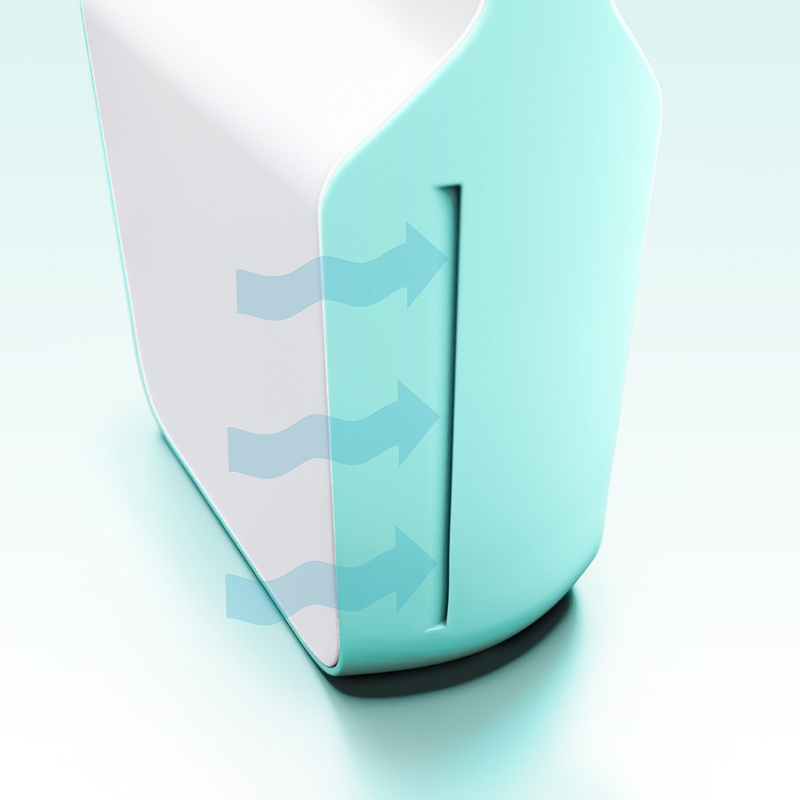 Ever notice how most humidifiers on the market look futuristic and UFO-like? 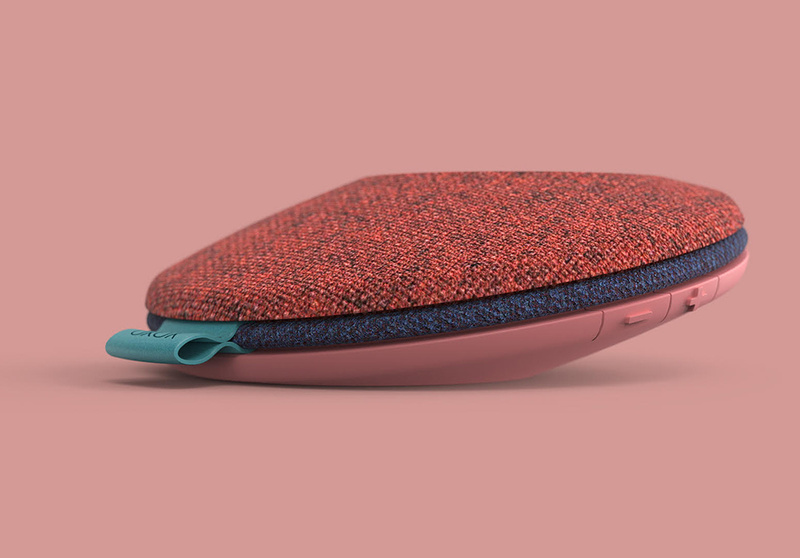 How’s that supposed to work with your hipster style? 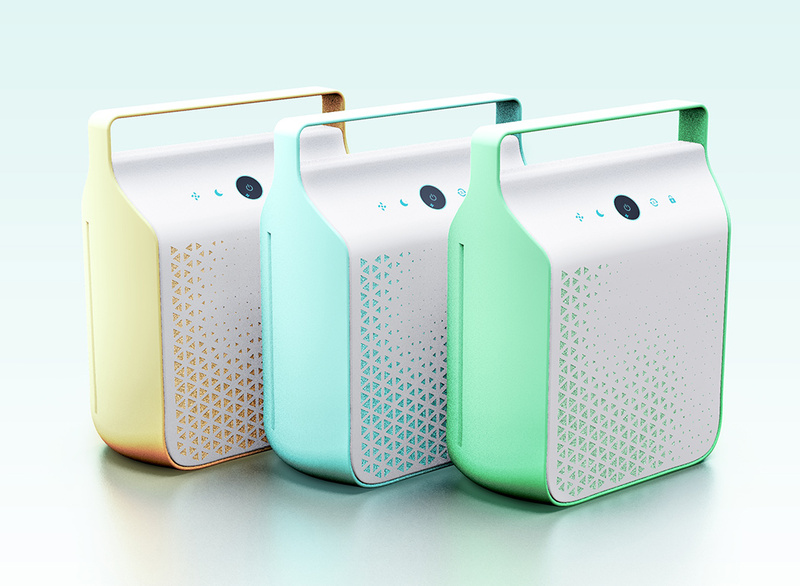 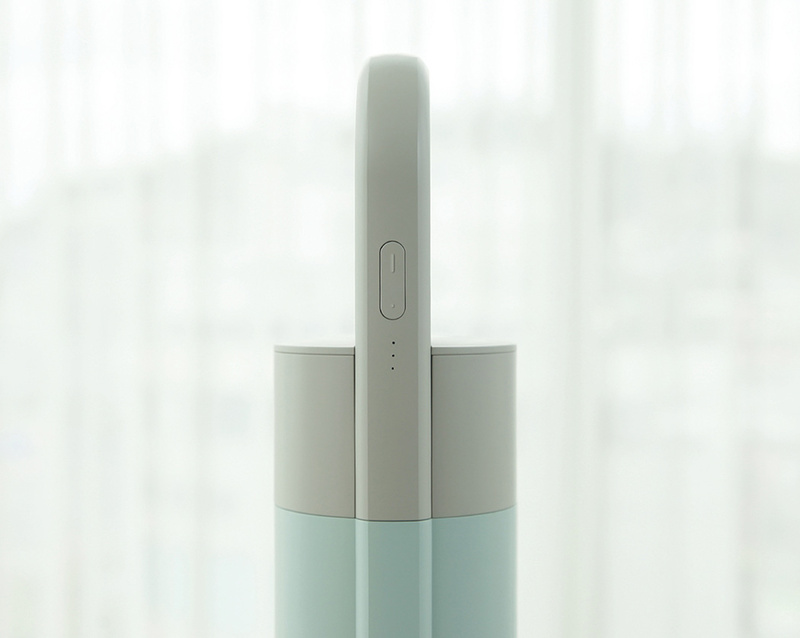 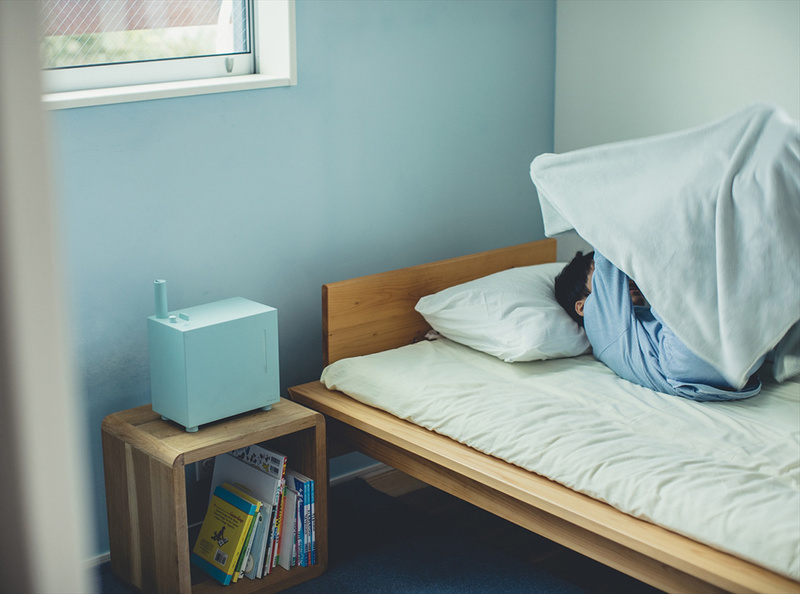 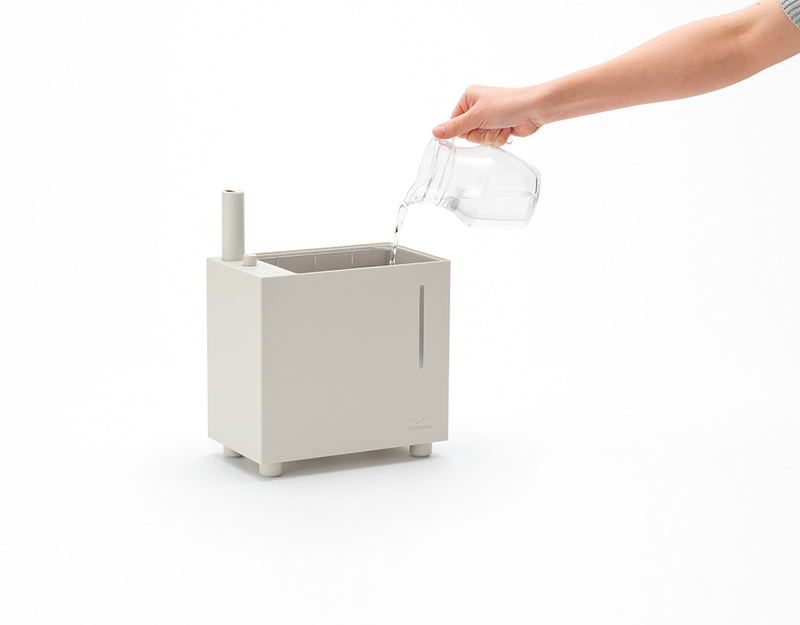 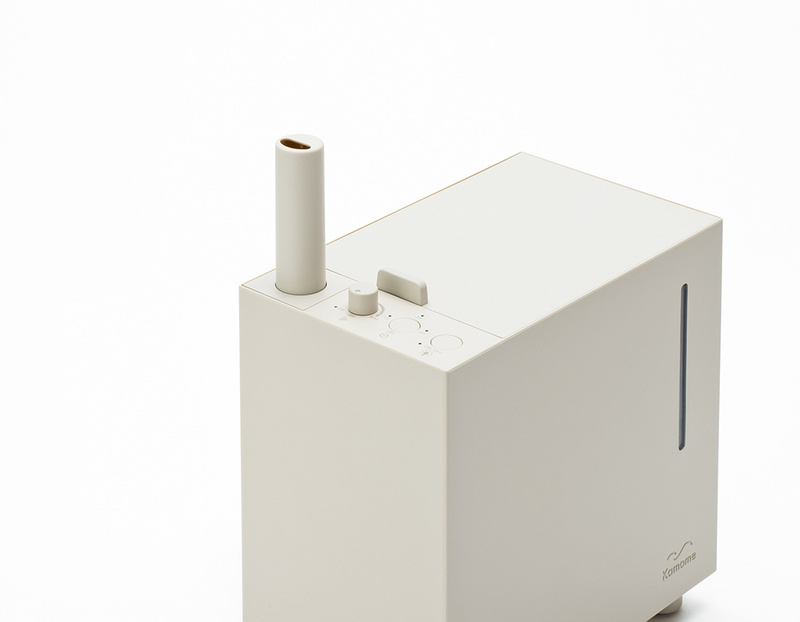 The Kamome humidifier looks more akin to the silhouette of a radio than an appliance. 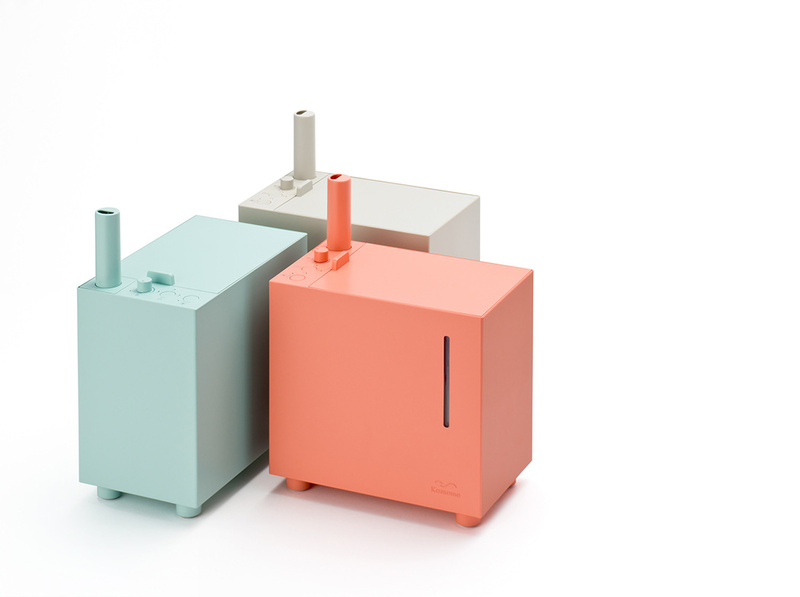 Set on any bookshelf, desk, or side table, it subtly provides freshly moisturized air. 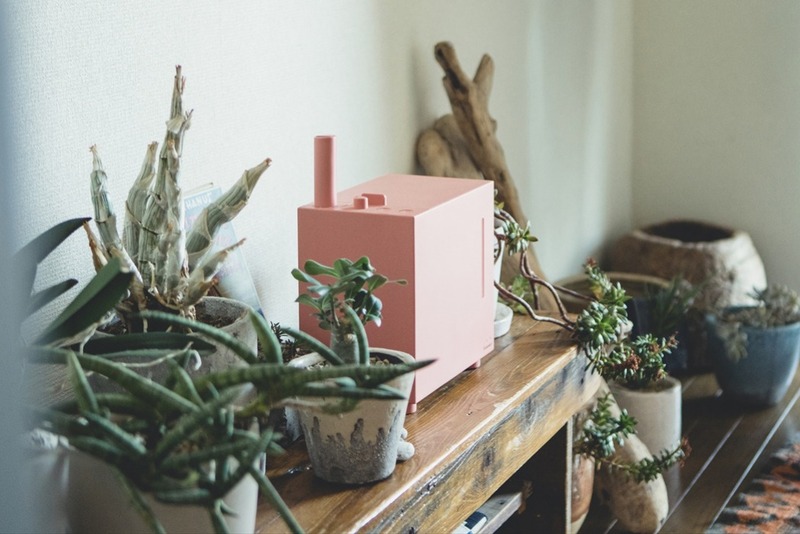 In a selection of tasteful color tones, it’s designed to serve as an aesthetic complement to your interior rather than an eyesore. 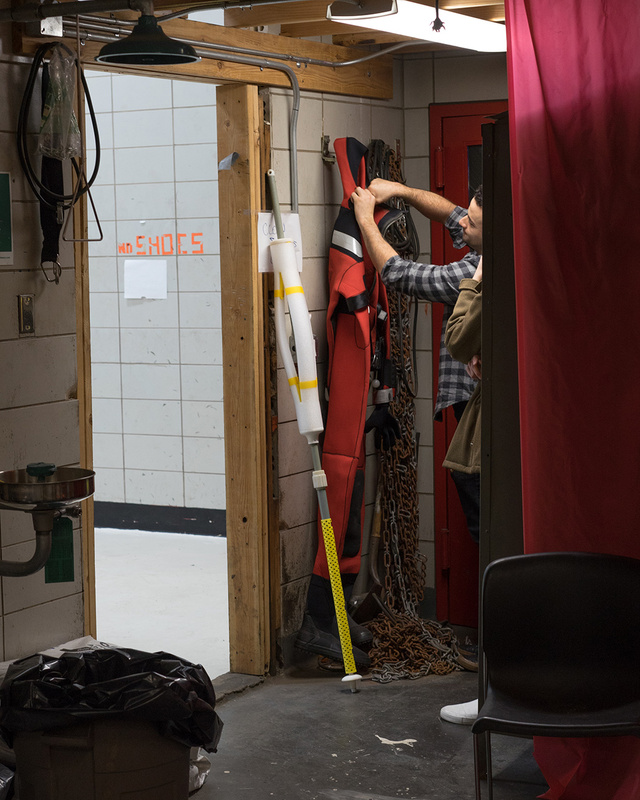 As the planet warms and sea levels rise, so does the need for emergency equipment innovations to assist in search and rescue operations during flooding. 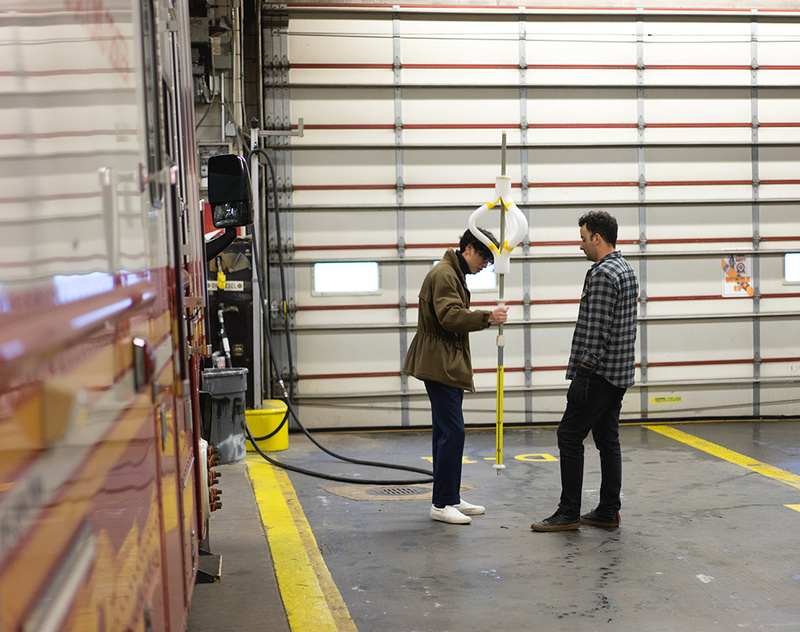 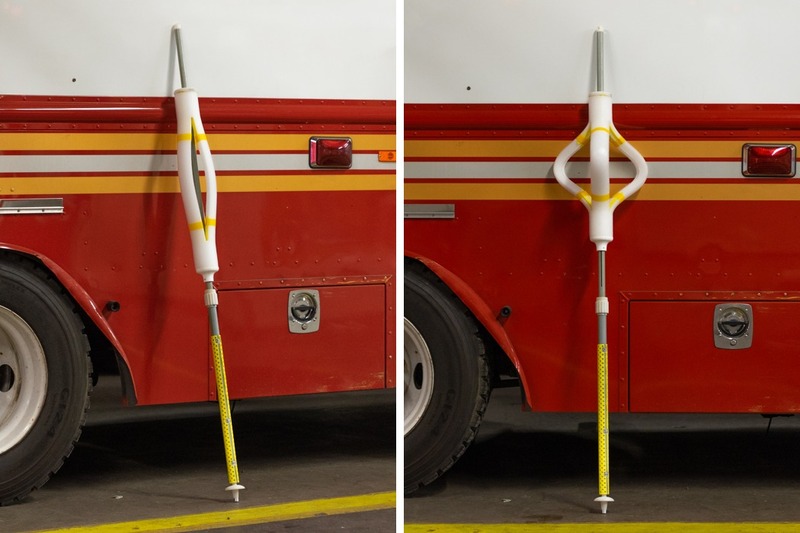 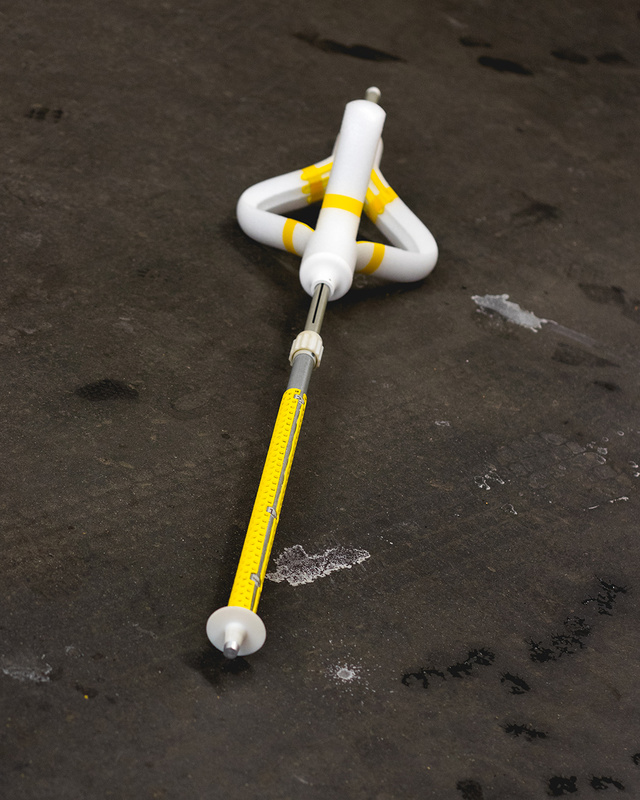 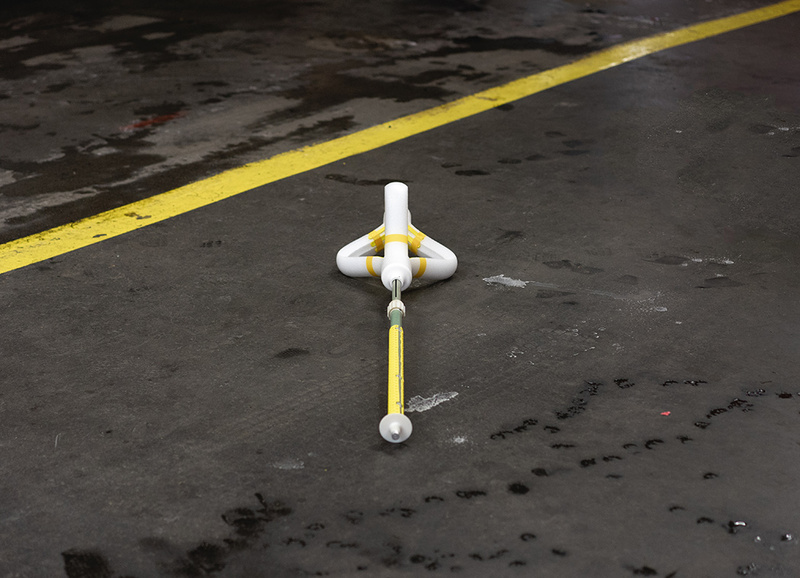 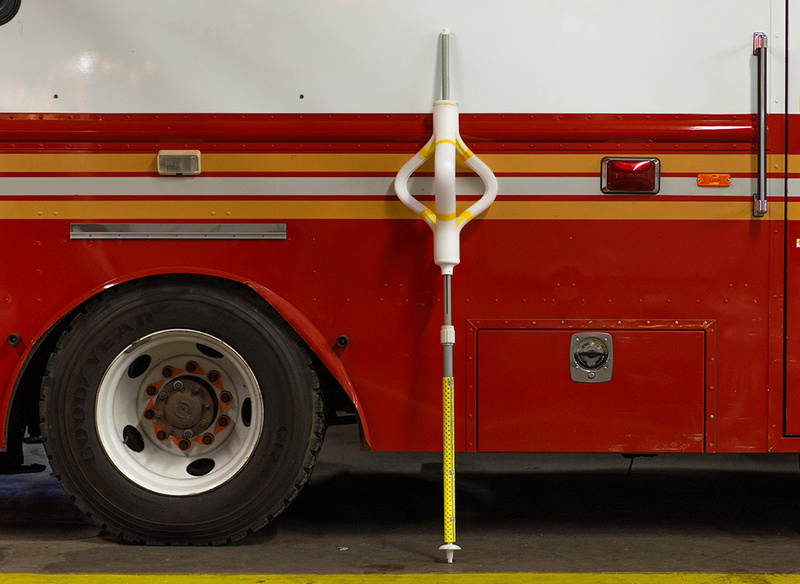 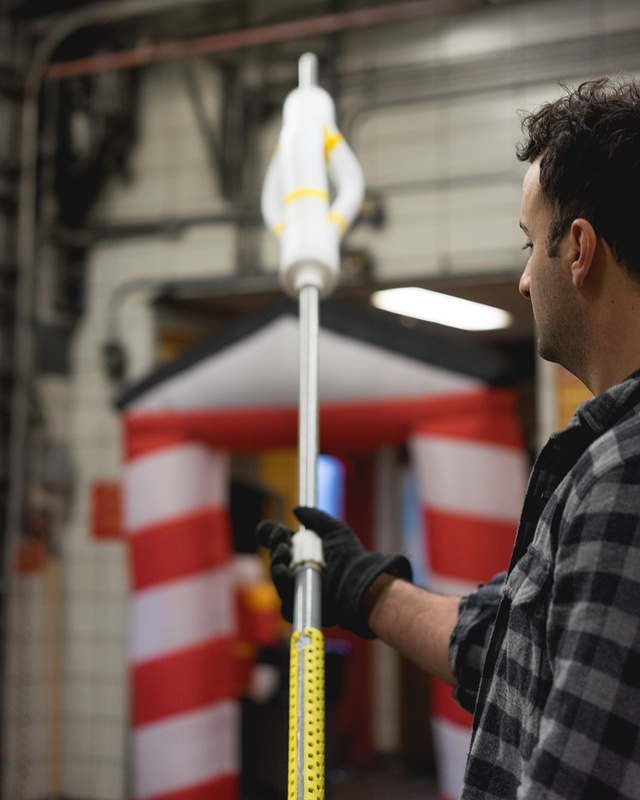 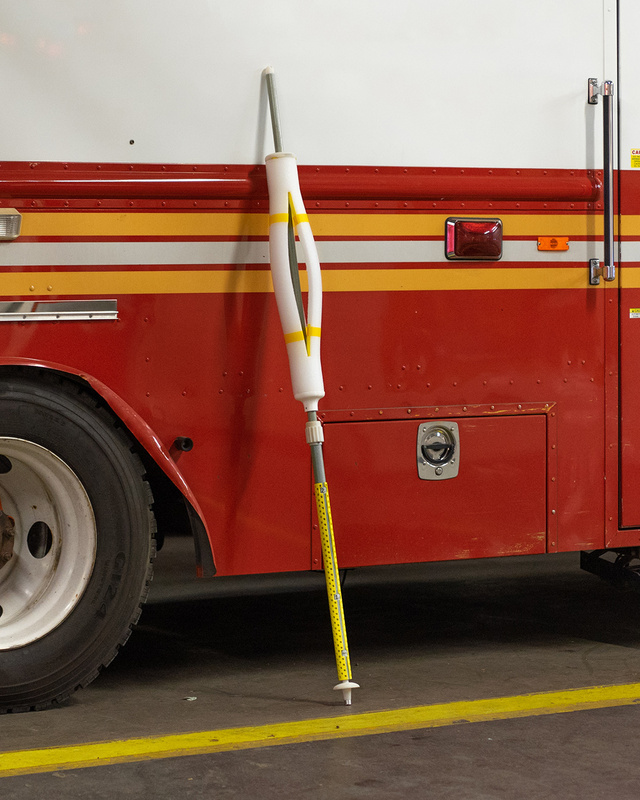 Designed in collaboration with local firefighters and rescue specialists, the Trident provides a reach-and-rescue solution in which emergency personnel can telescope the pole to reach individuals up to 8 feet away. 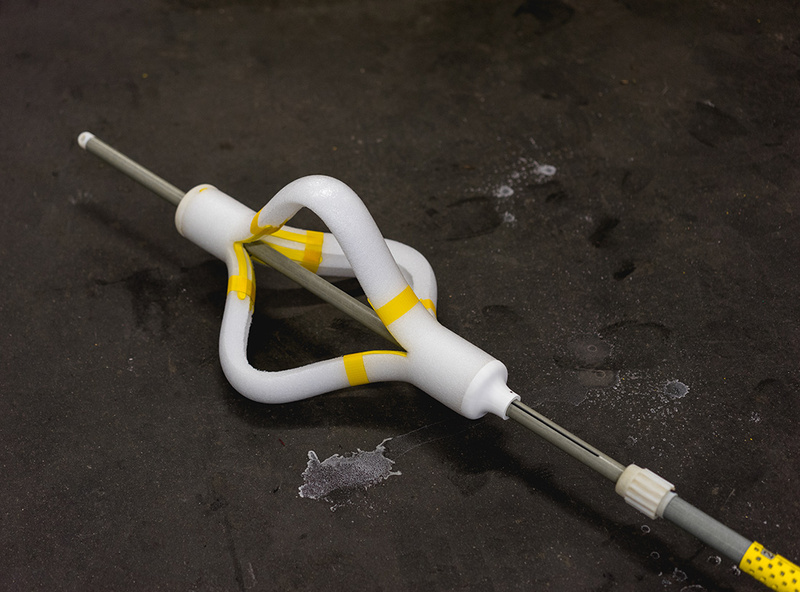 On the end, an expanding foam tip for which it’s named gives the endangered person three loops to grip with their hands or cling to by inserting their arms. 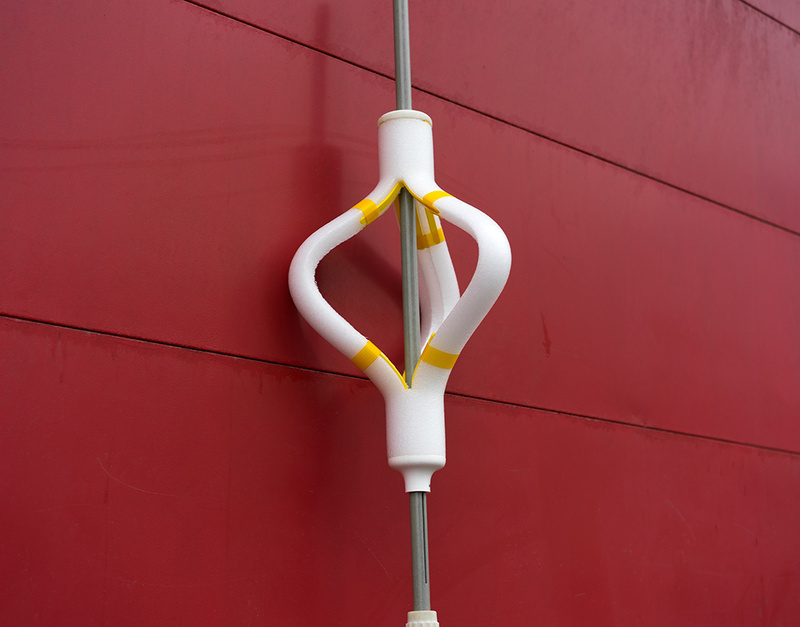 It also serves as a flotation device to keep them above water during the rescue. 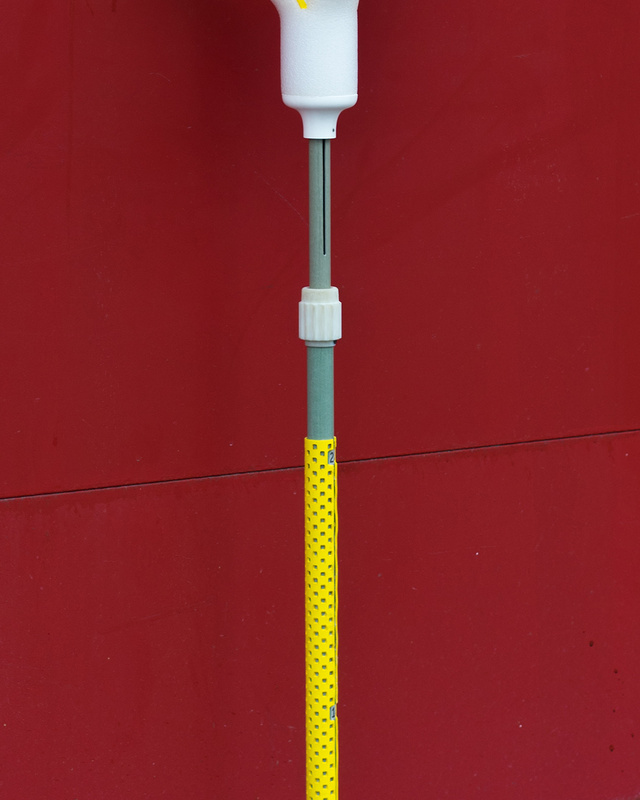 The pole is tipped with a stainless steel disc that prevents the person’s hands from slipping and keeps it from getting settled into mud. 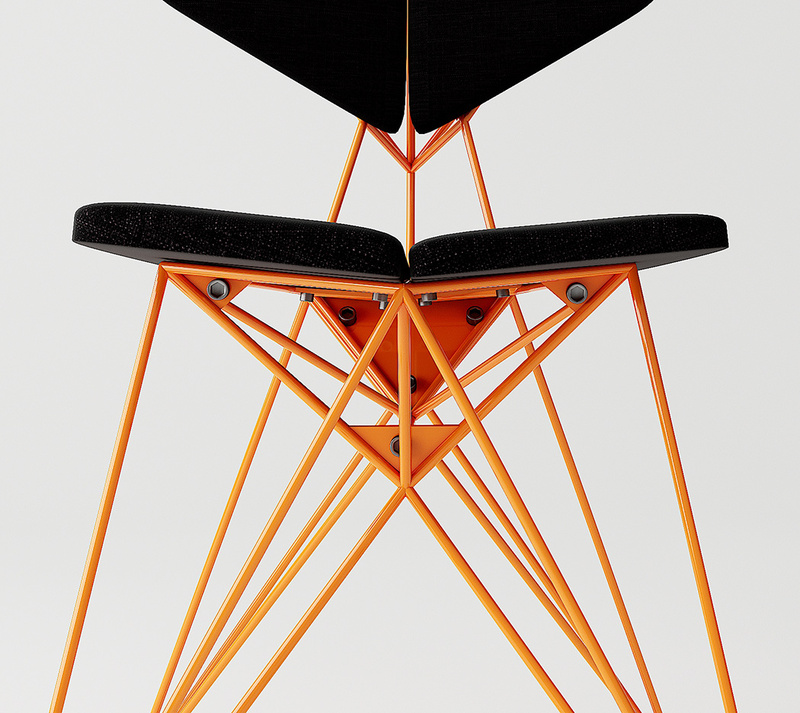 Made almost entirely from fiberglass, the telescopic design can be collapsed for easy transport and storage. 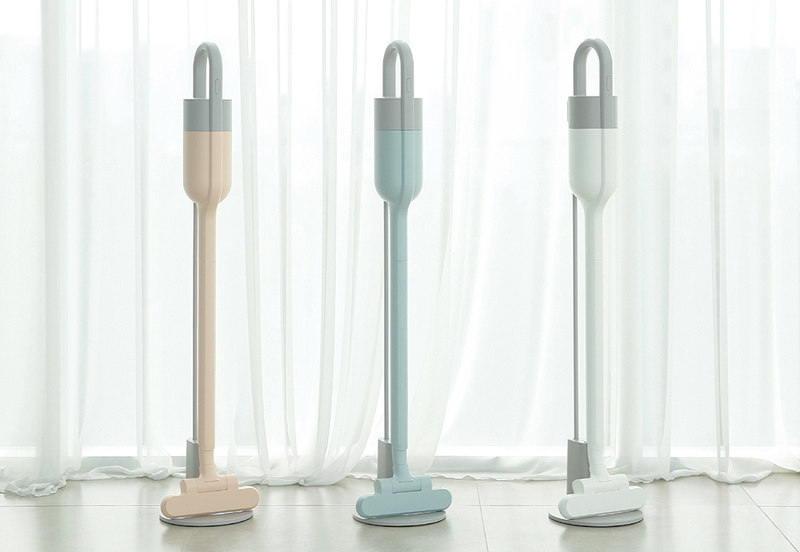 Not that you would, but you COULD leave out MO-ON’s OBICUUM vacuum and it wouldn’t be the terrible eyesore that is most models on the market. 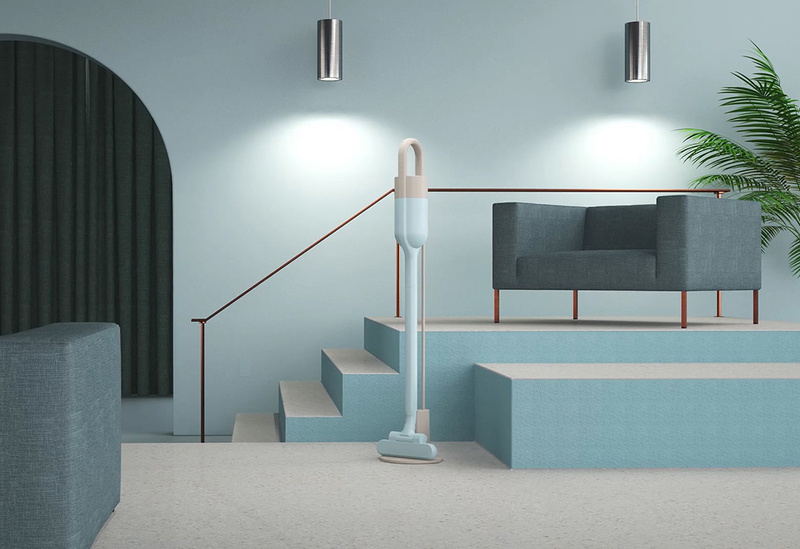 Minimalistic and rendered in a myriad of attractive color combinations, the design leans more sculpture than an appliance. 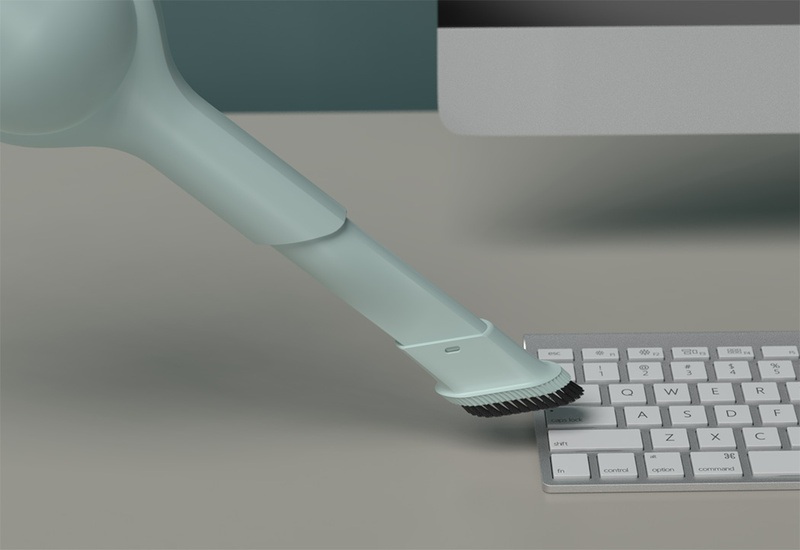 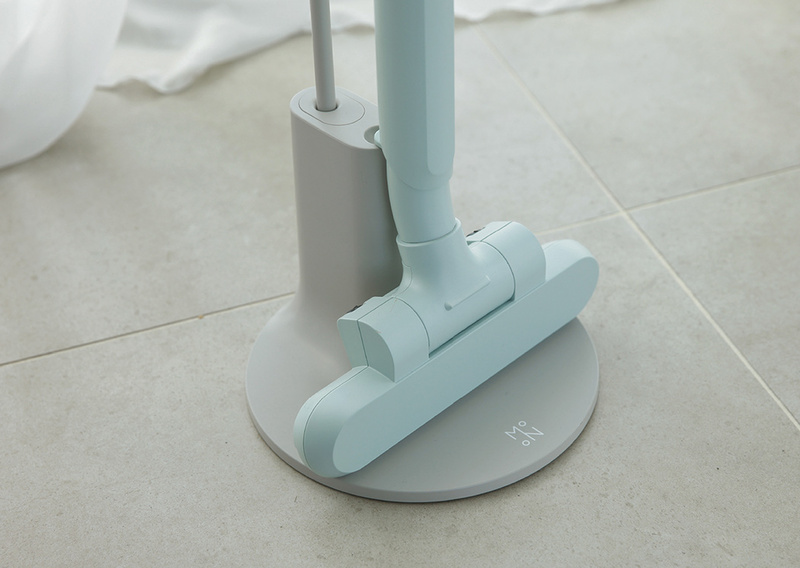 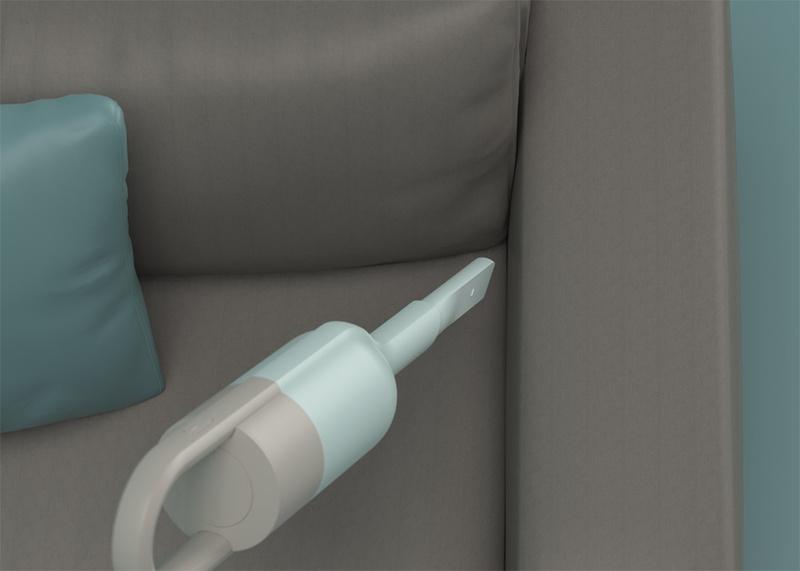 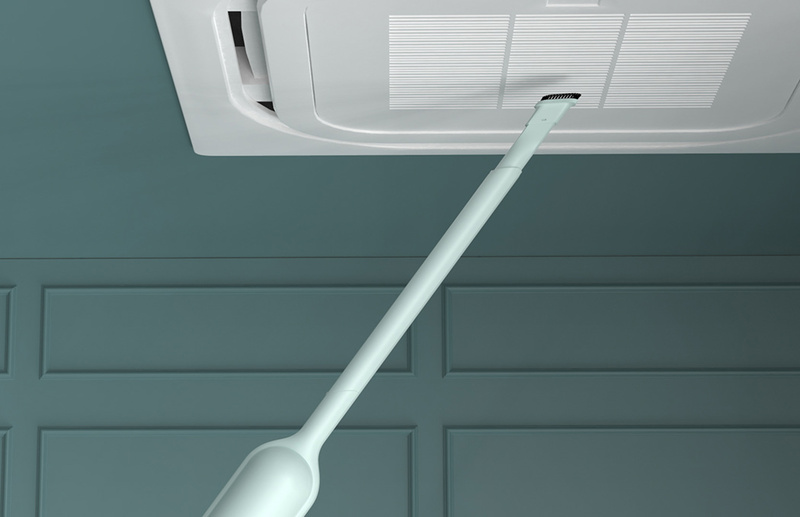 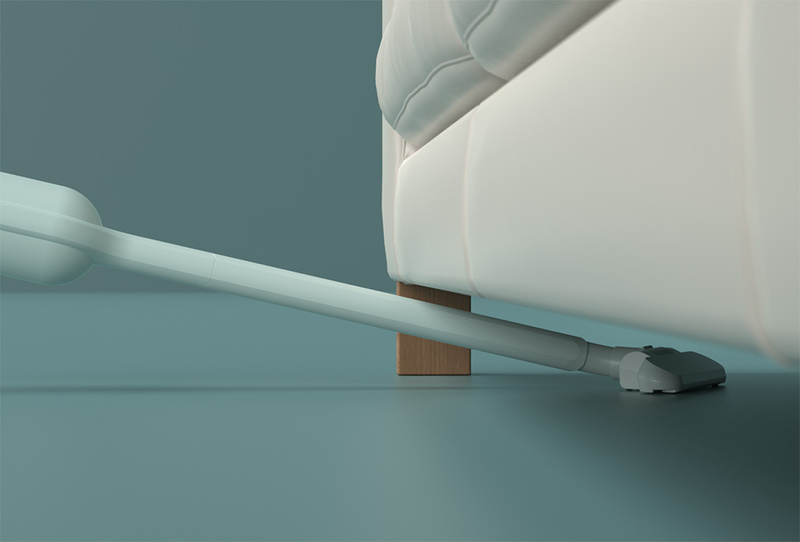 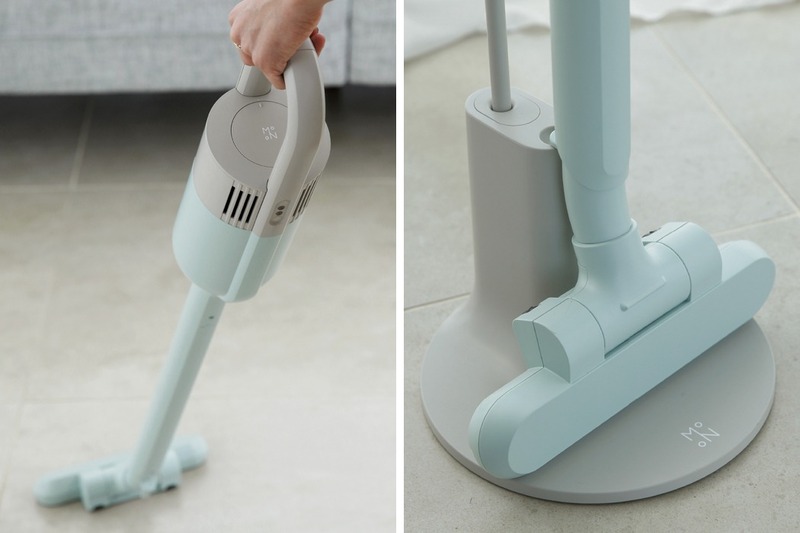 However, you won’t sacrifice functionality as it doubles as a mini-vacuum for cleaning up in tight corners. 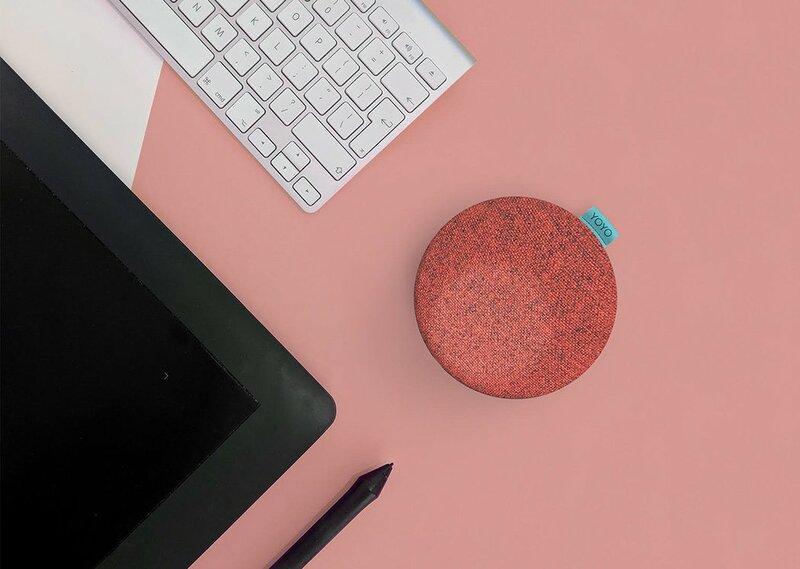 Better yet, it includes a convenient charging stand with a magnetic attachment feature that makes storage quick and simple. 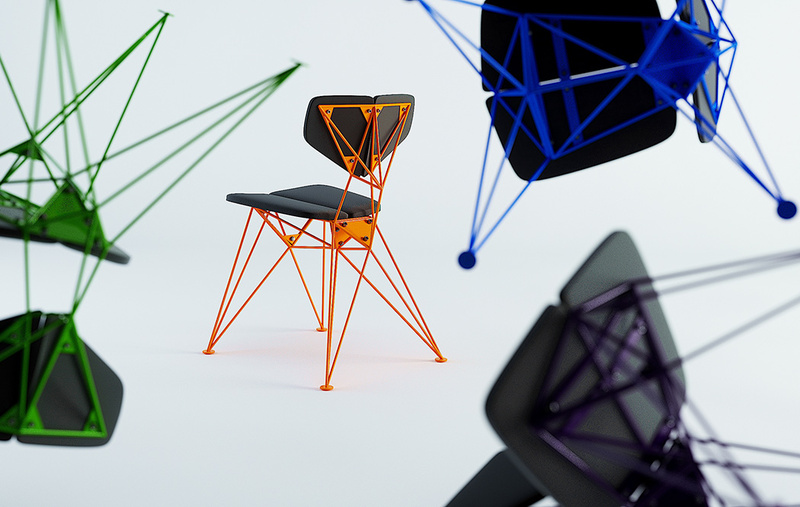 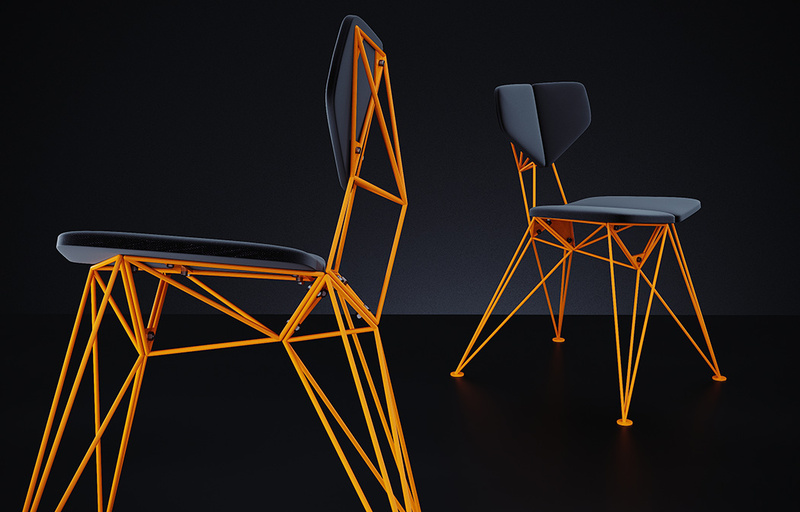 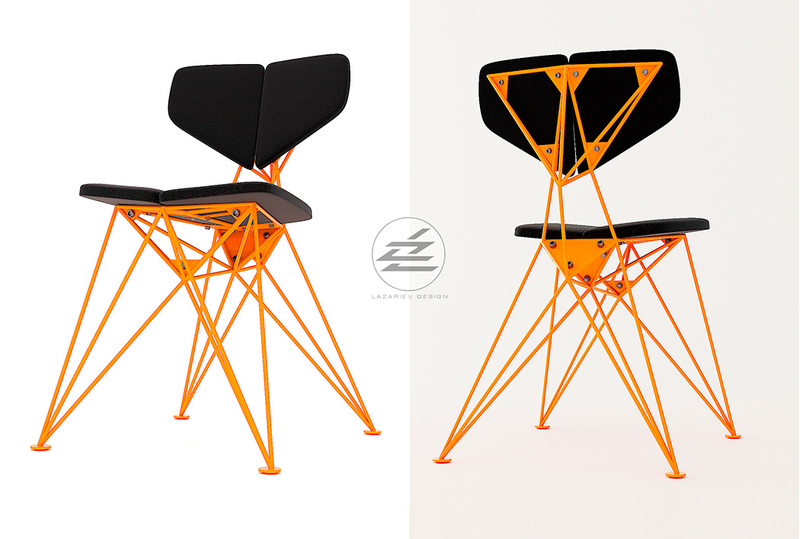 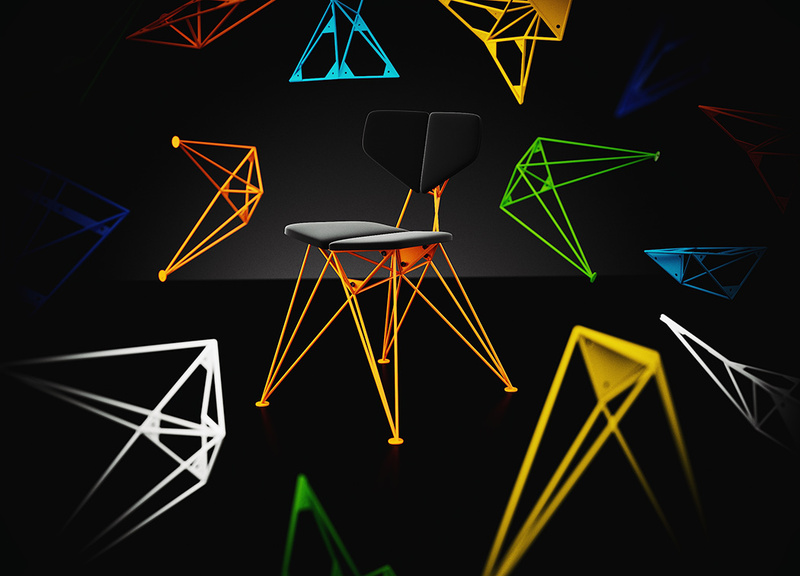 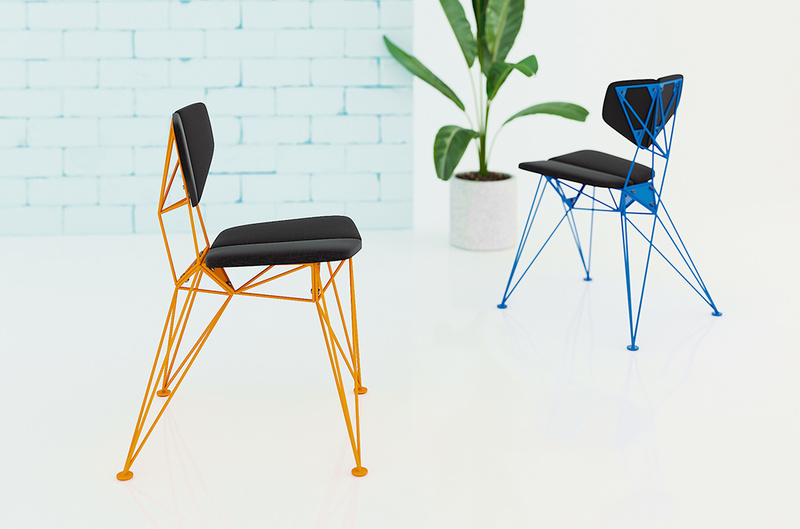 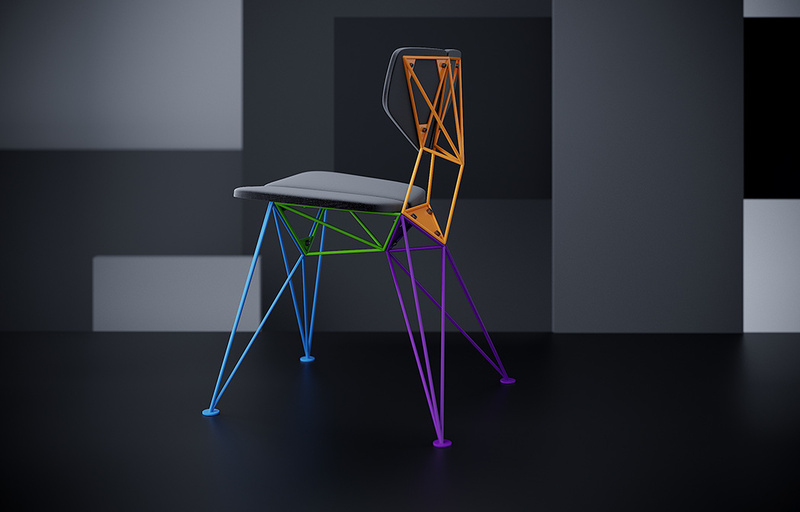 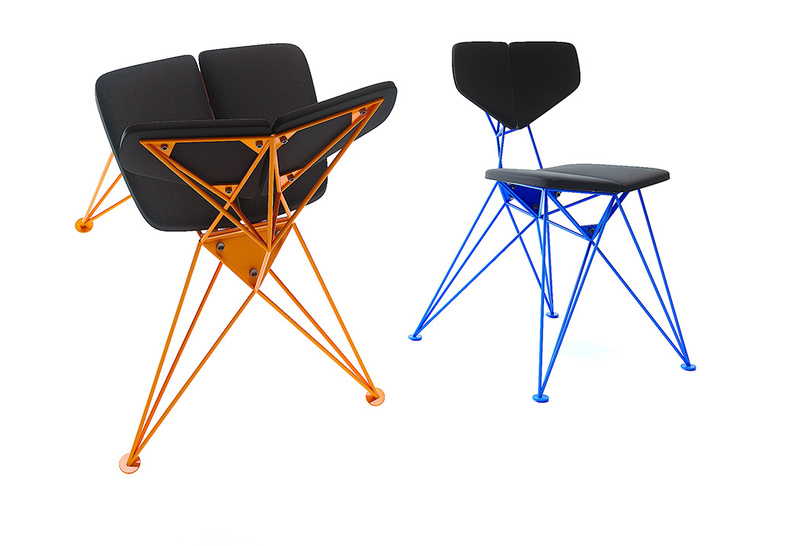 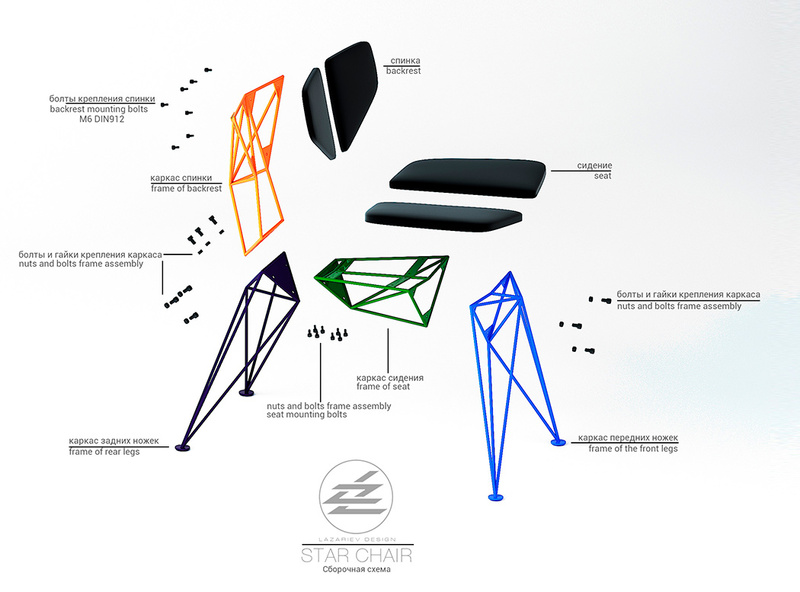 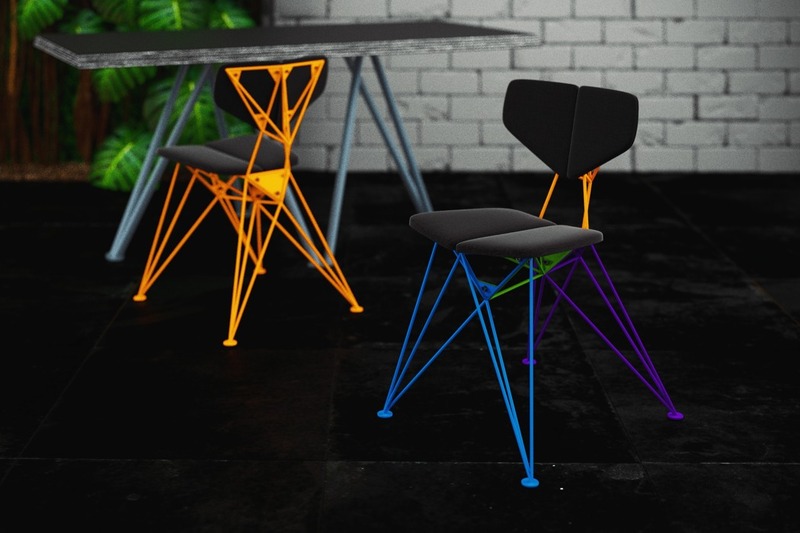 Reminiscent of the Eames Eiffel-style base, Lazariev Design’s Star chair is a prefabricated seating solution distinguished by its steel rod sections and soft back and seat. 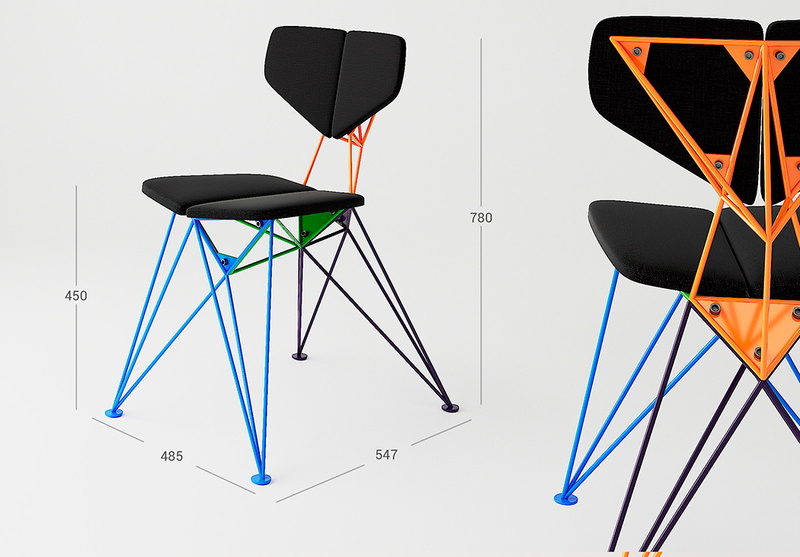 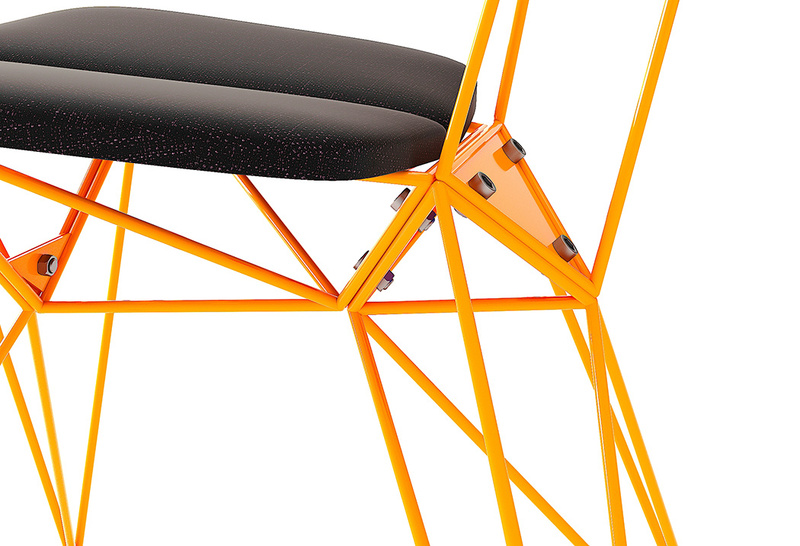 The design is composed of four distinct sections that can be easily assembled by the user with simple bolts. 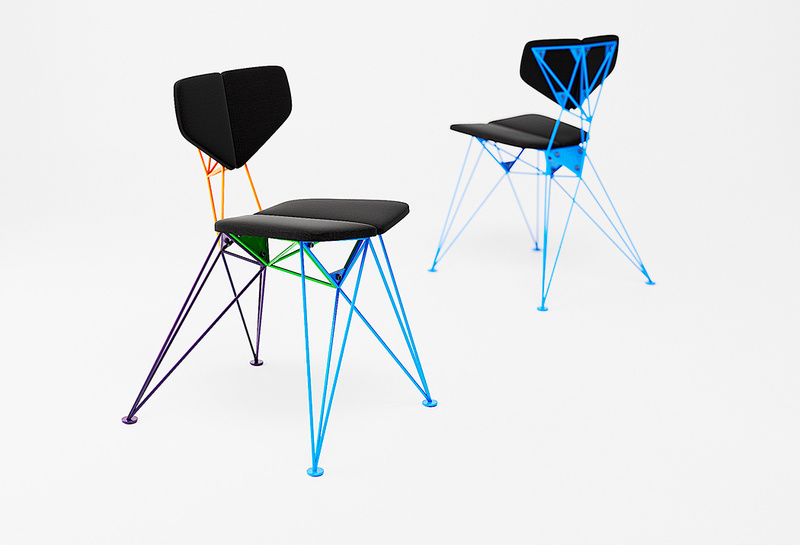 The finished product produces a striking geometries complemented by vibrant colors. 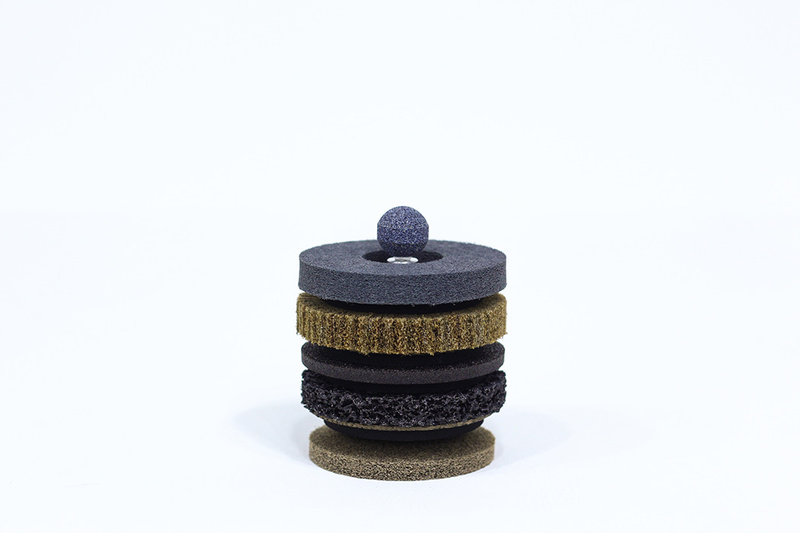 Sure to be a timeless classic, order them in solid hues or mix and match colors to suit your personal aesthetic. 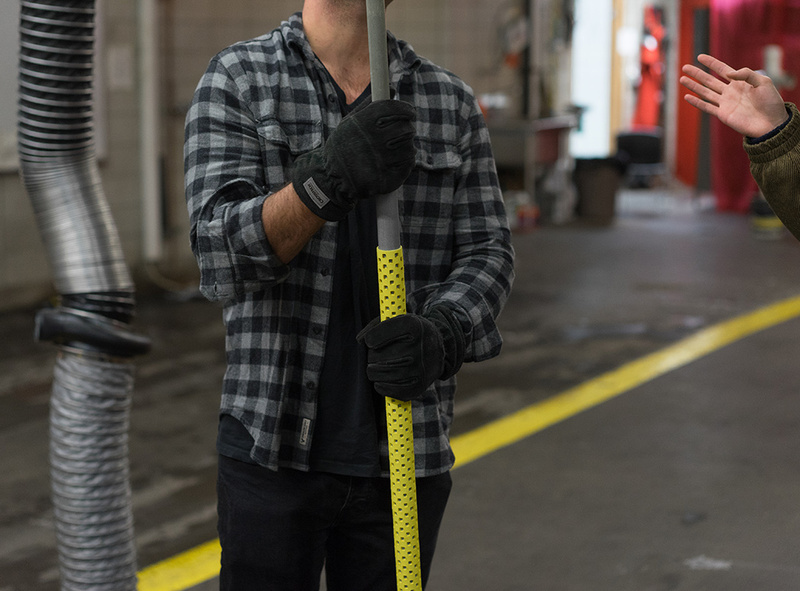 In a good way! 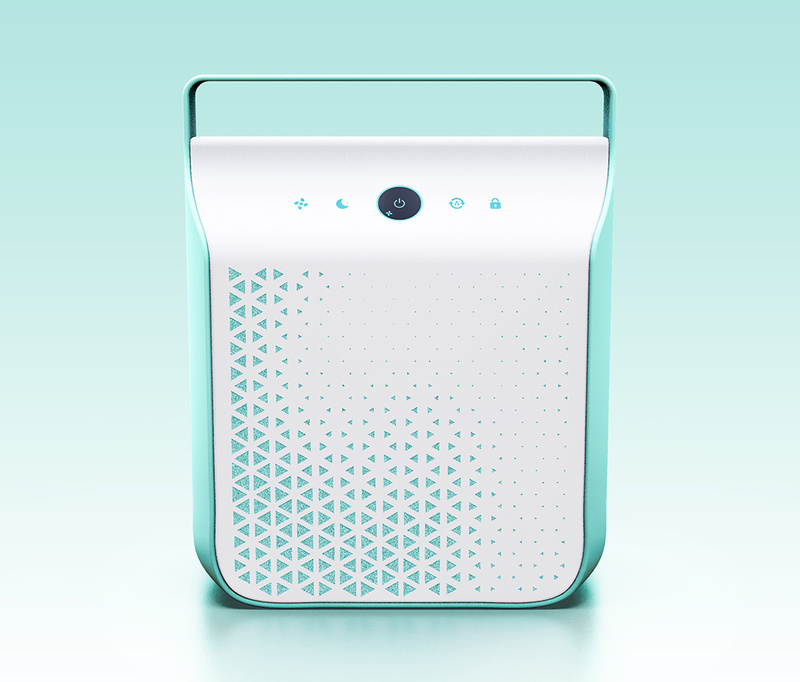 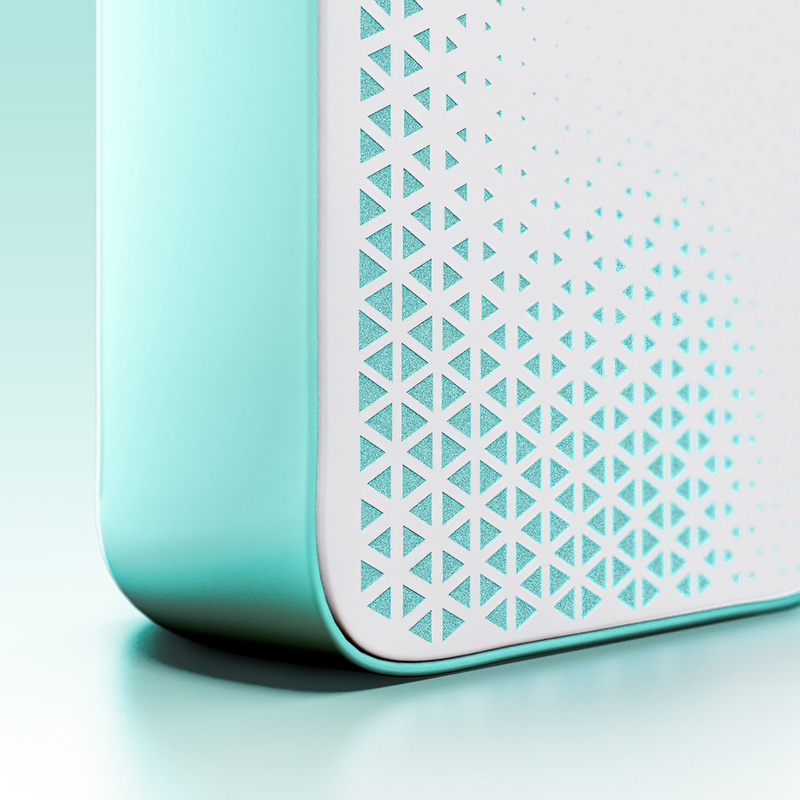 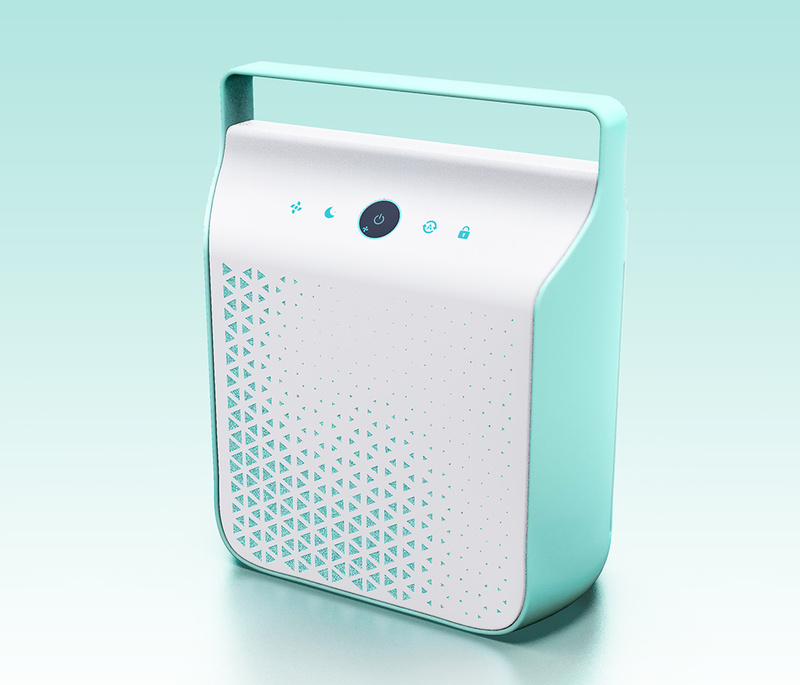 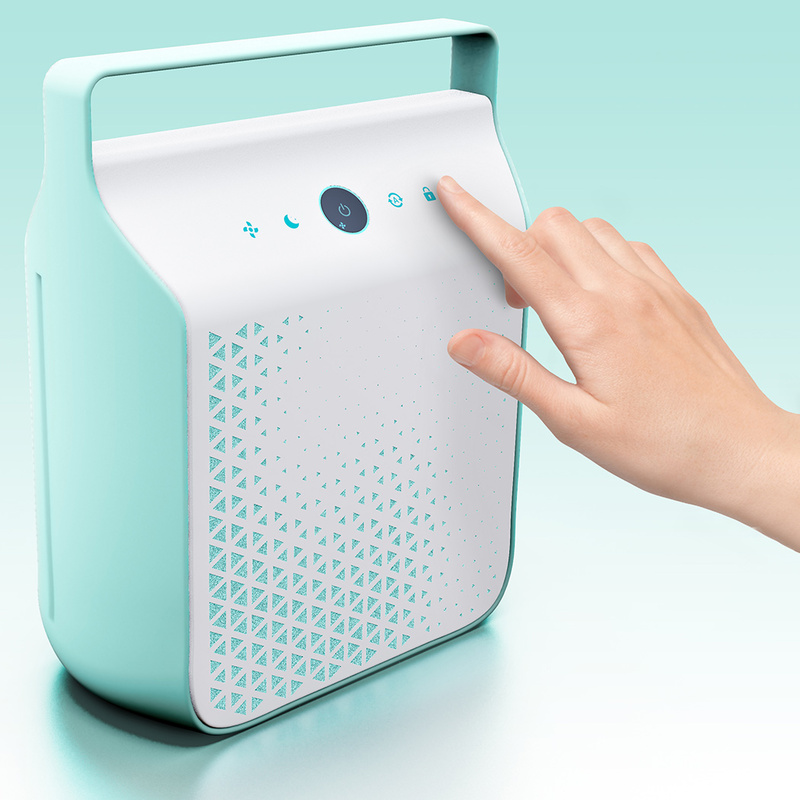 There’s not much to the Cleanson Air Purifier, and that’s precisely its appeal. 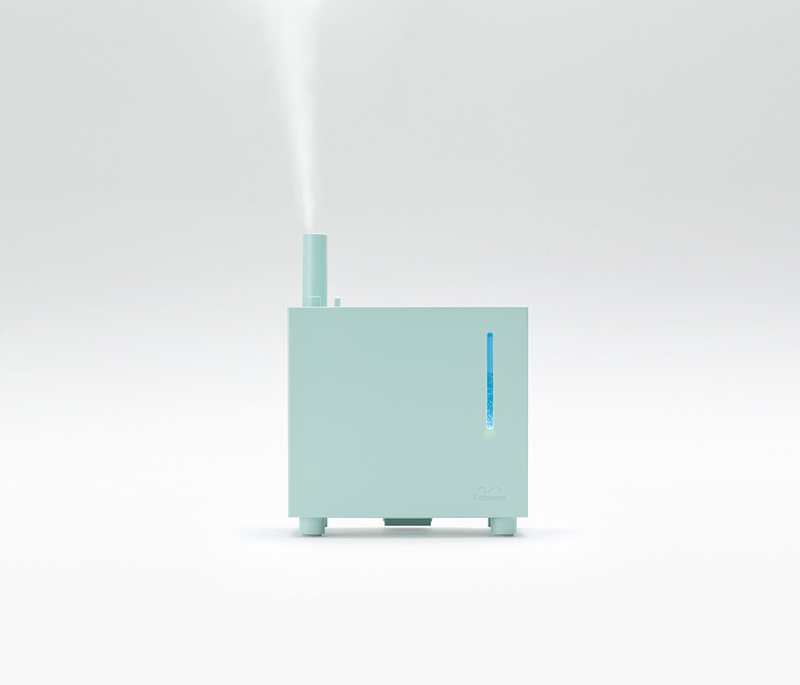 What more could you ask for considering its sole purpose is to help clean the air inside your home? 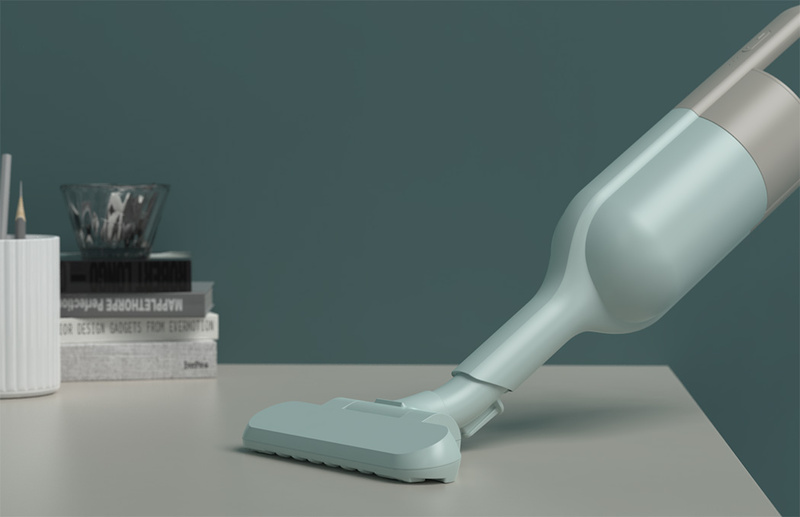 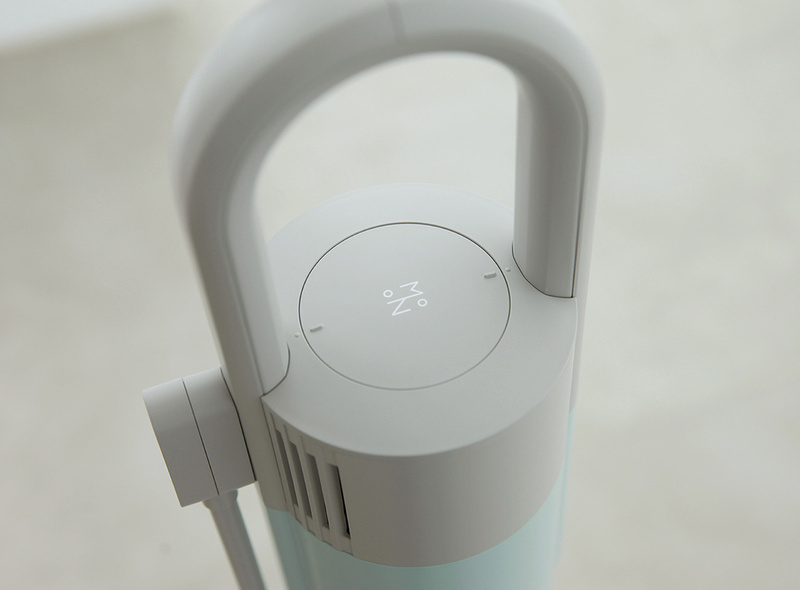 The design features an integrated handle that makes it easy to tote from room to room, ensuring users Simple scoops take in the air on the lateral sides before pushing purified air into the room on the front and back. 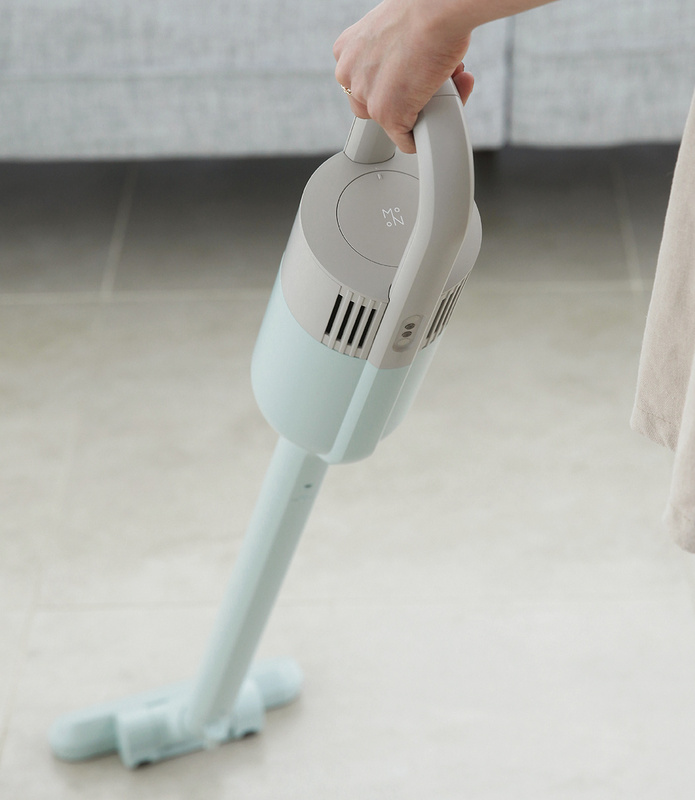 With a friendly color combination, straightforward user interface, and bonus features like a timer and lock, it’s so simple to use, even kids can operate. 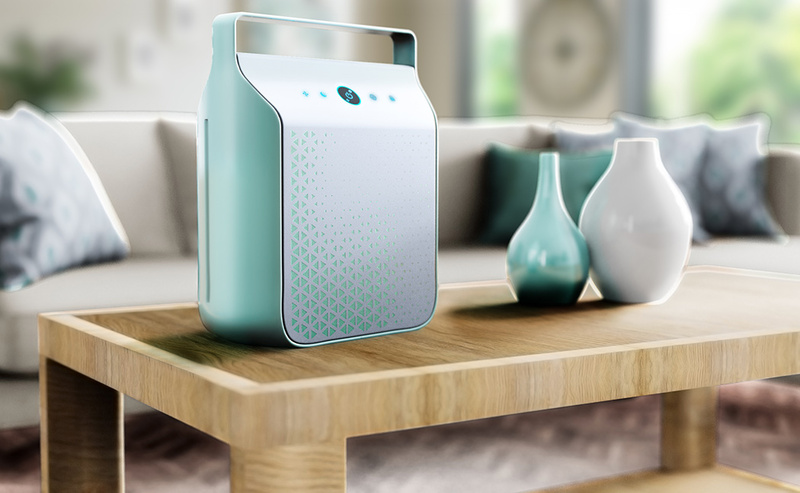 Is your old computer about to blow up because of your Fortnite fixation? 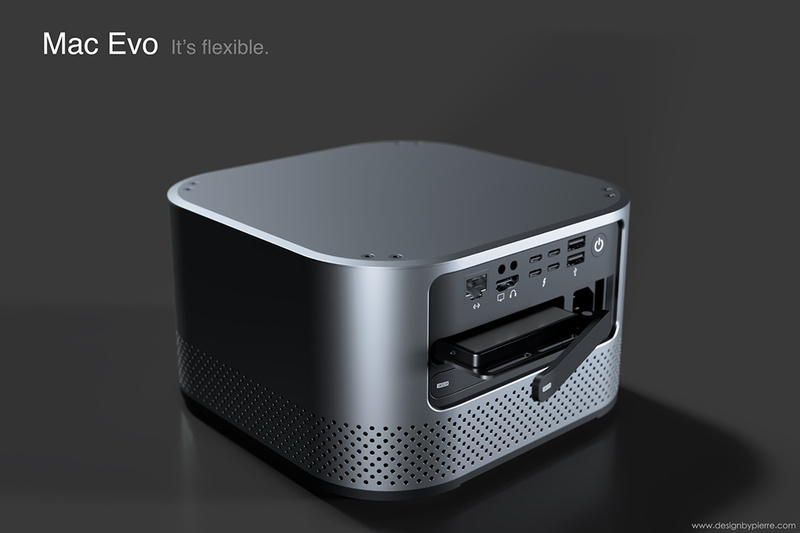 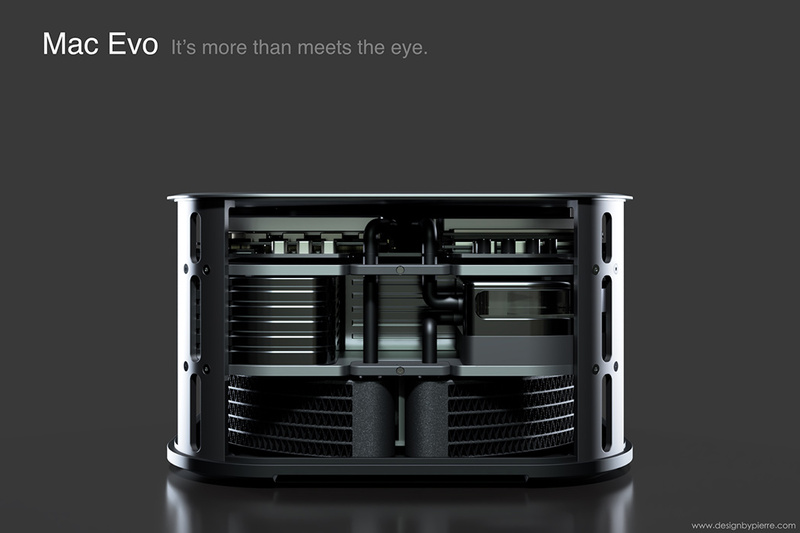 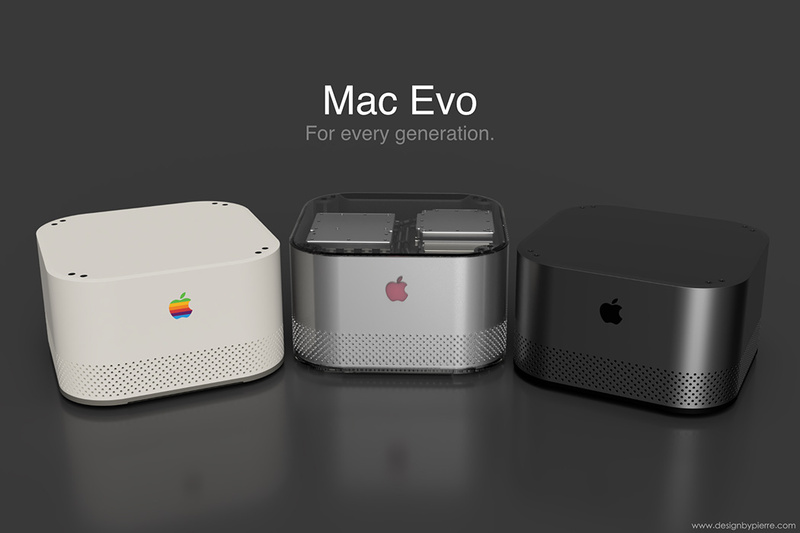 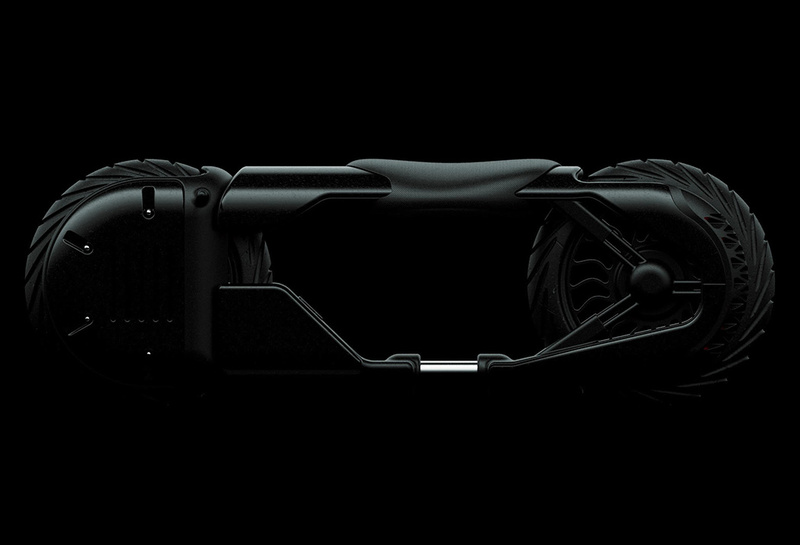 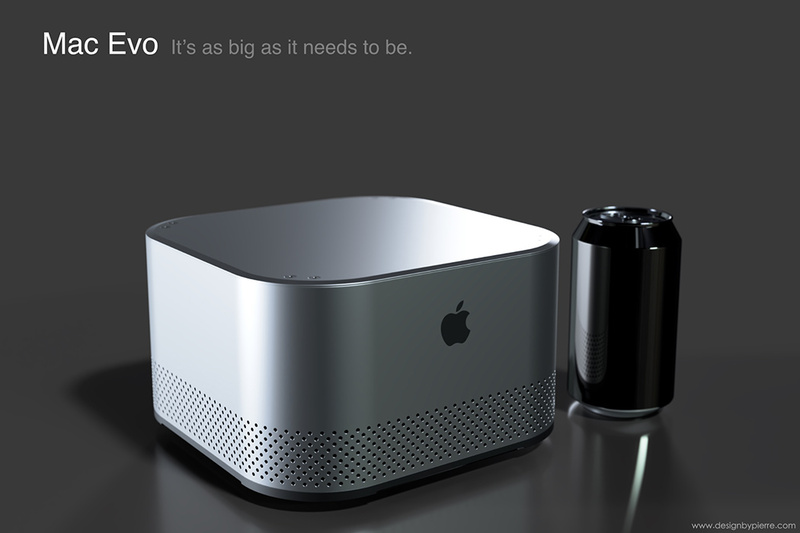 The Mac Evo is meant to cool your jets. 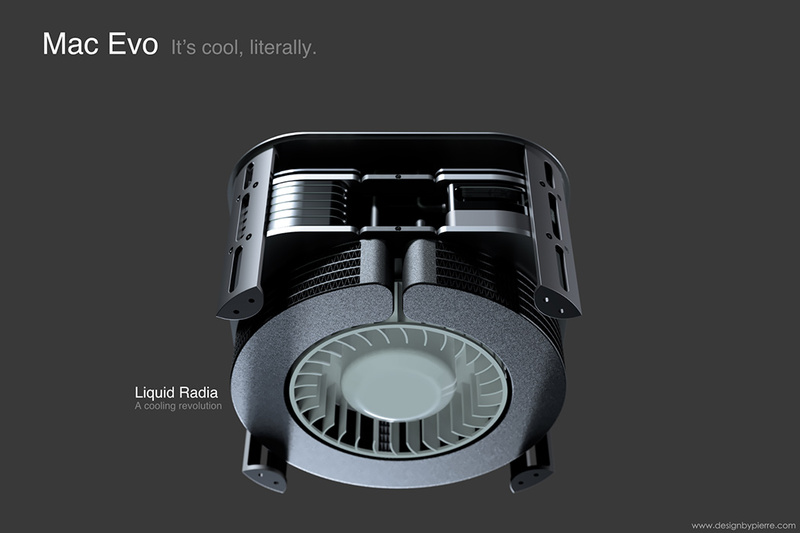 Imagined as a viable solution for those who require powerful systems for productivity, media creation, and gaming, the computer utilizes a Liquid Radia cooling system. 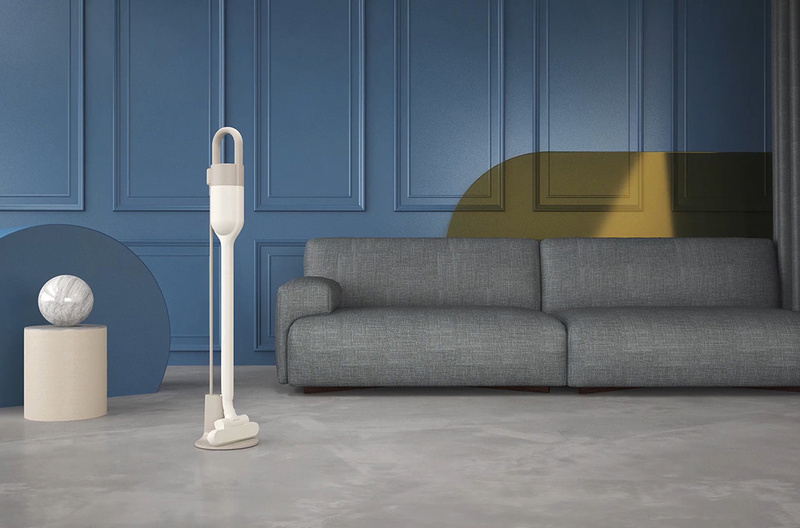 The design features a radial radiator with a centrifugal fan that pulls air in from the bottom and out to the sides to achieve maximum cooling efficiency within a compact form. 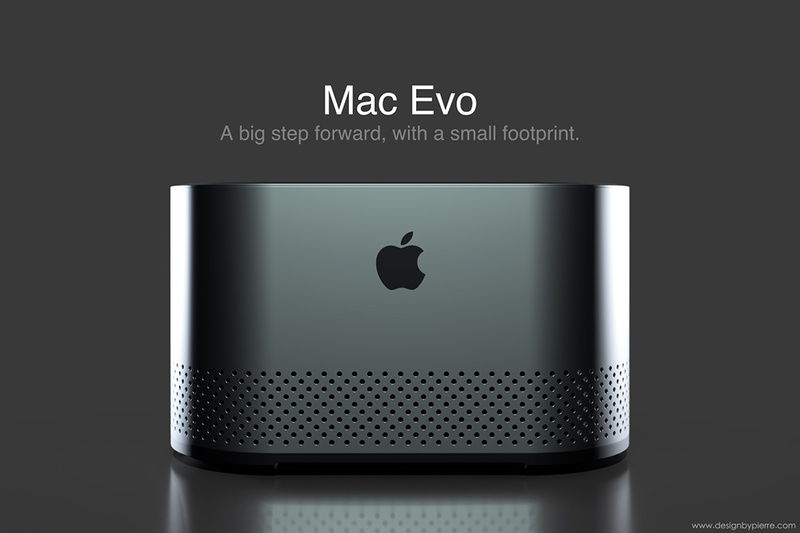 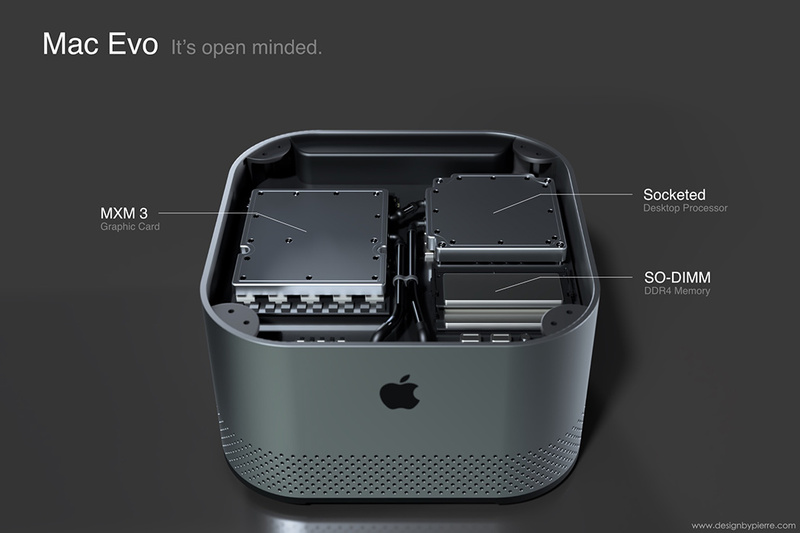 As an added bonus, the CPU, GPU, memory, and storage are all replaceable and upgradable so the system can keep up with software’s increasingly demanding requirements. 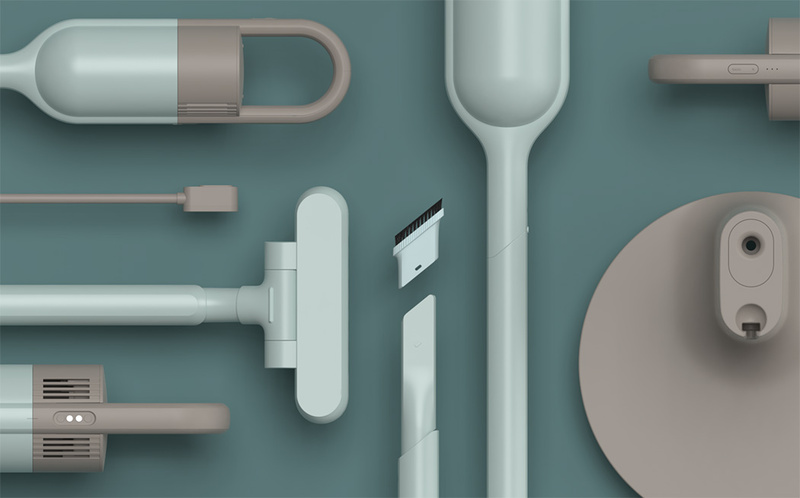 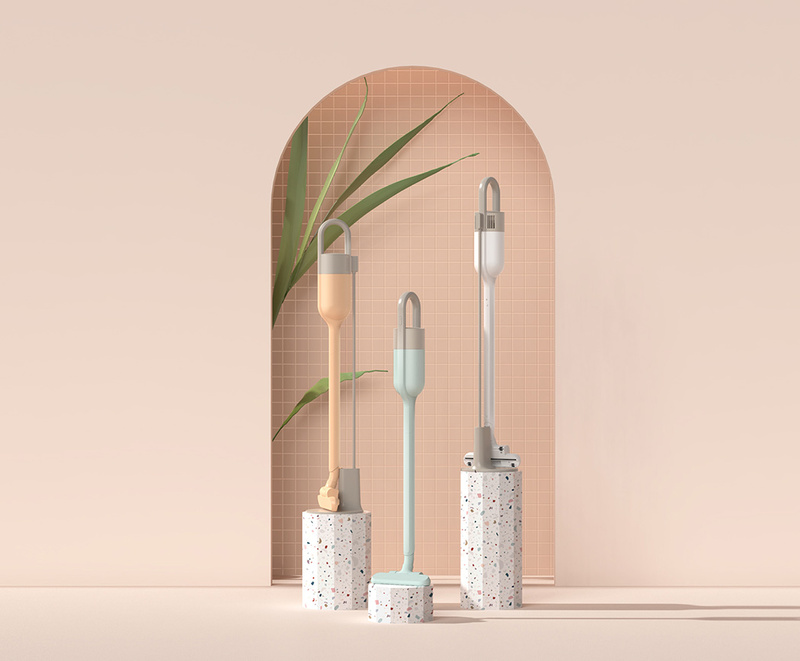 This concept by 1/plinth studio is proof that industrial designers can find inspiration in the strangest of places — even in the very tools they use to make things. 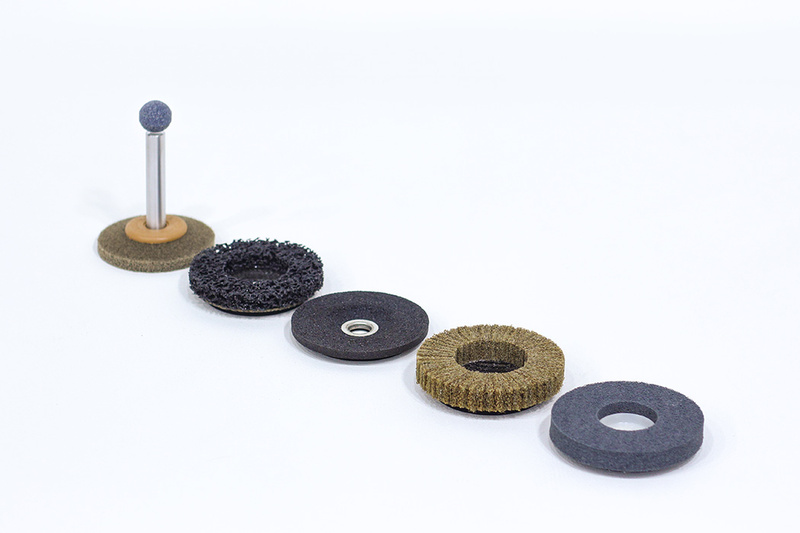 The design was dreamed up upon gazing at an abrasive disc that’s more commonly used for grinding or polishing surfaces. 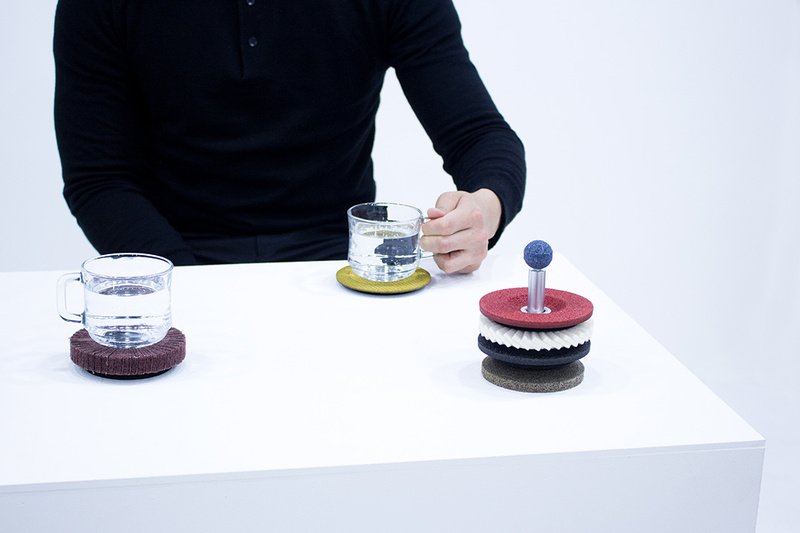 What the designers saw, however, was a set of 14 unusual coasters. 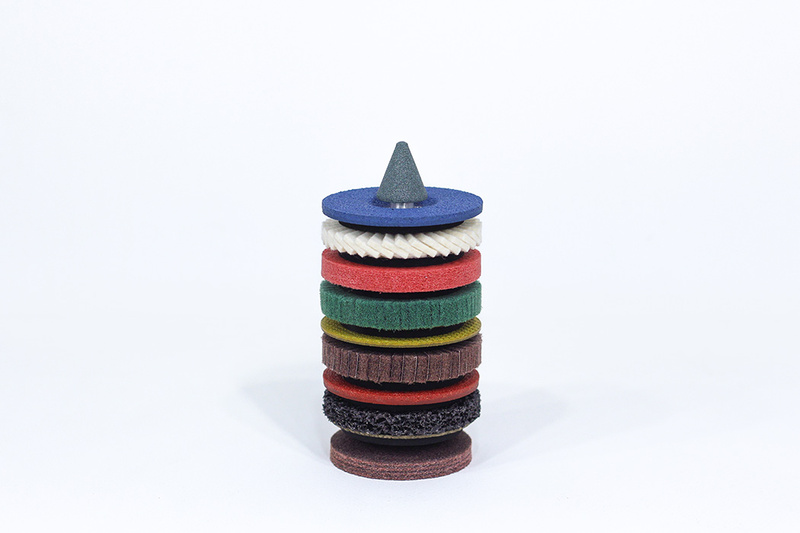 Each disc in the stackable set has its own unique texture and color. 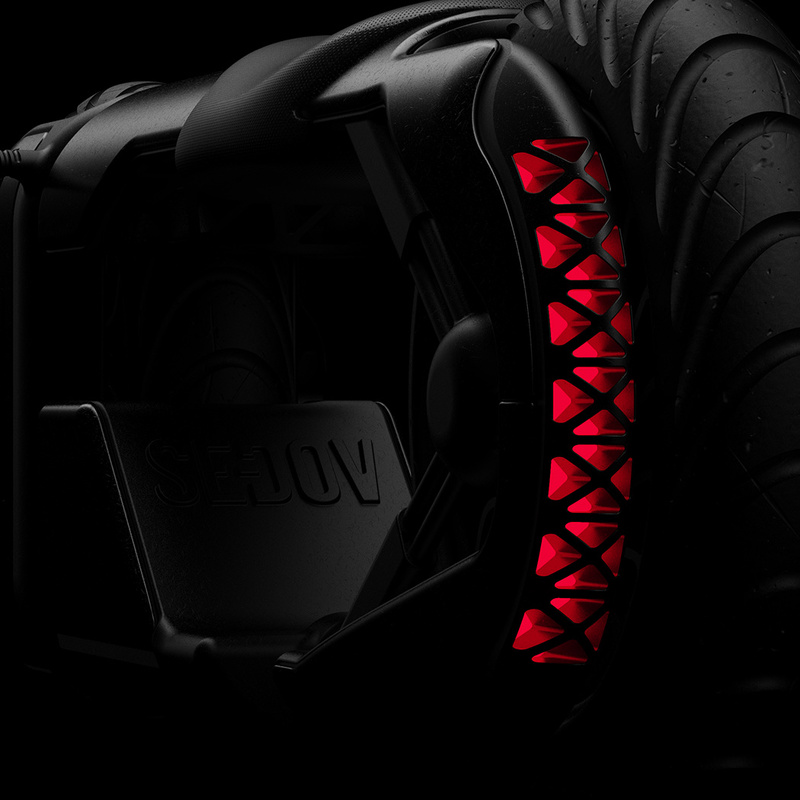 Combined, they make for a unique conversation starter and add touch of industrial style (and ring protection!) 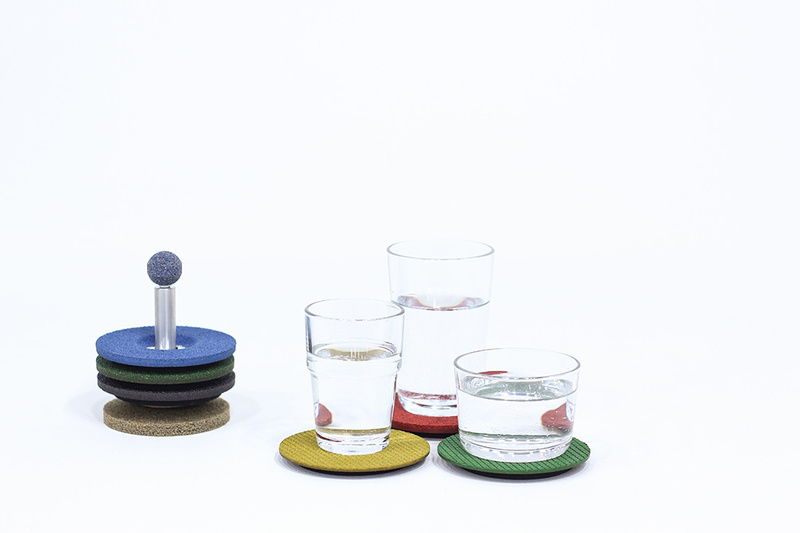 to your tabletop. 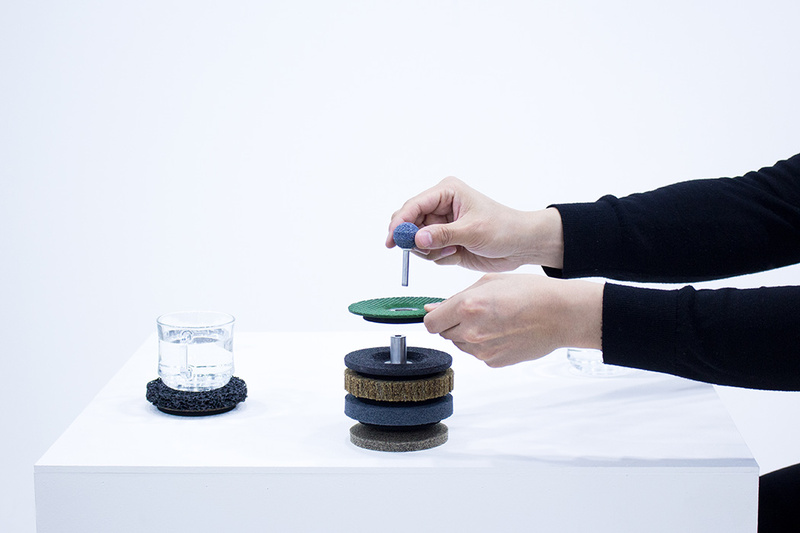 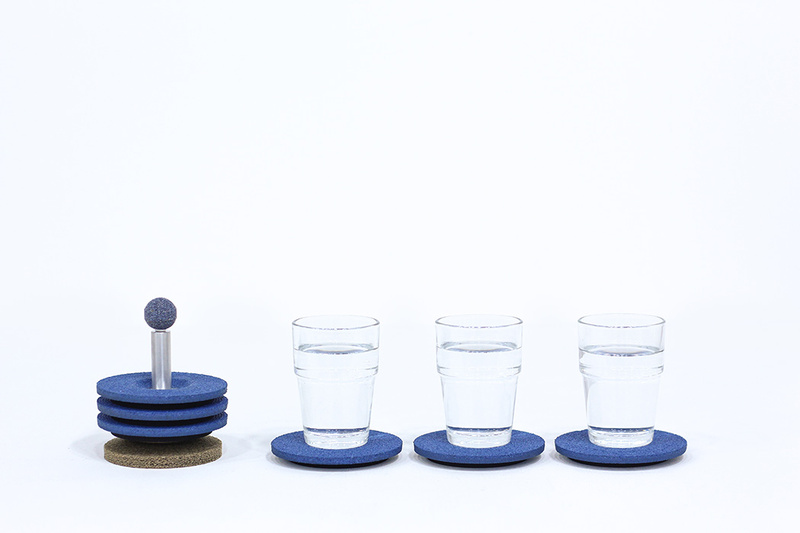 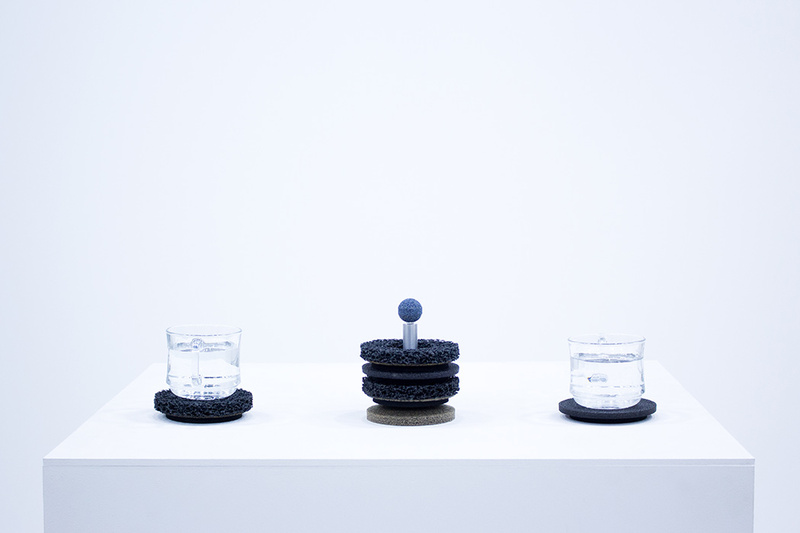 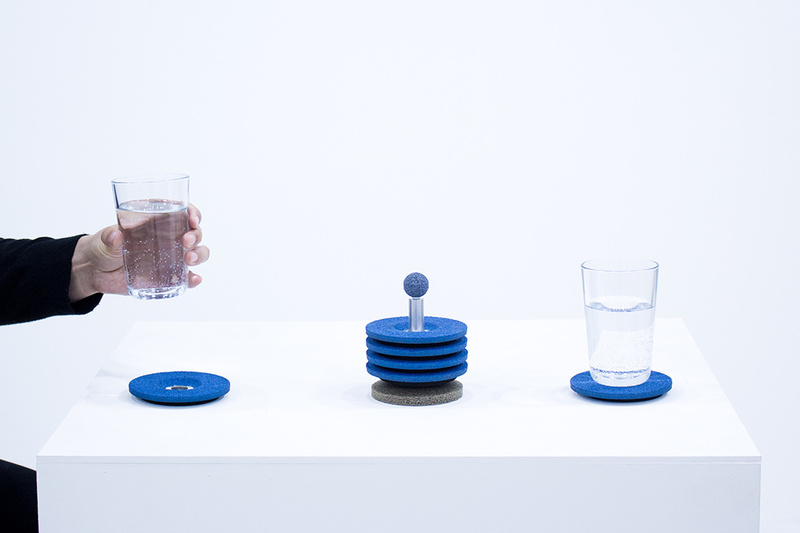 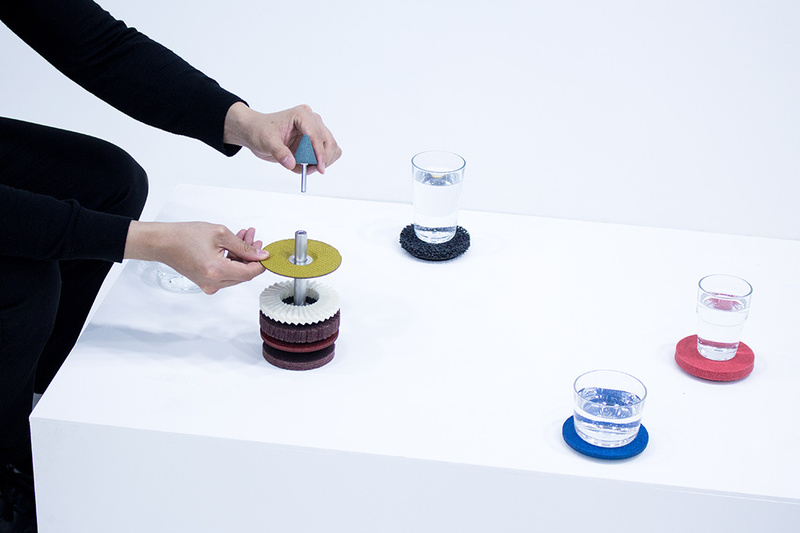 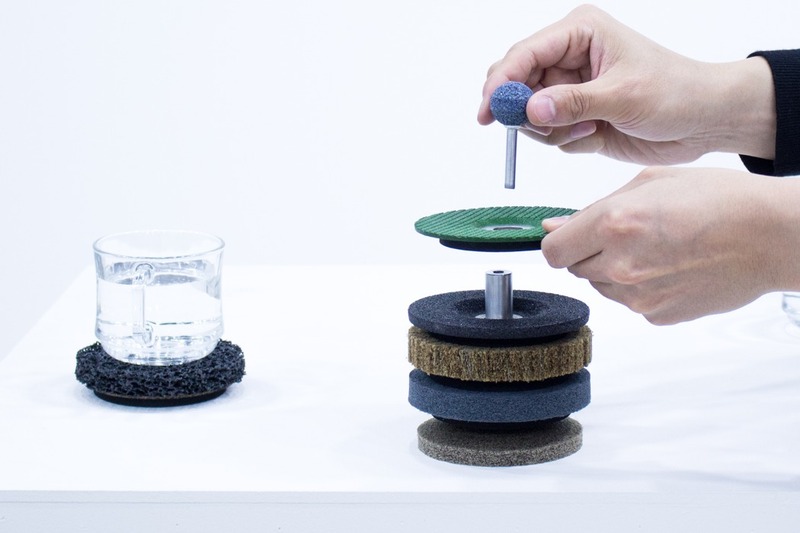 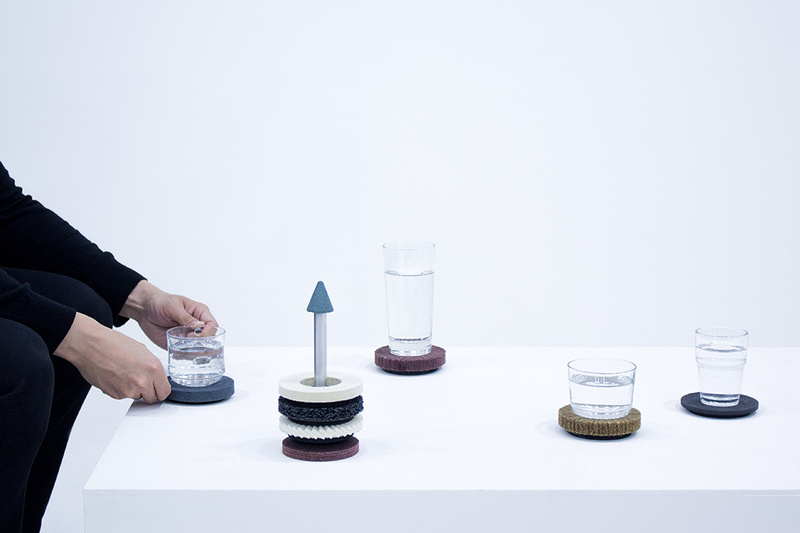 “The 14 coasters possess a different tactile sensation in order to engage the user and allow a different experience depending on the type of coaster and type of cup used,” 1/plinth studio told Yanko Design. 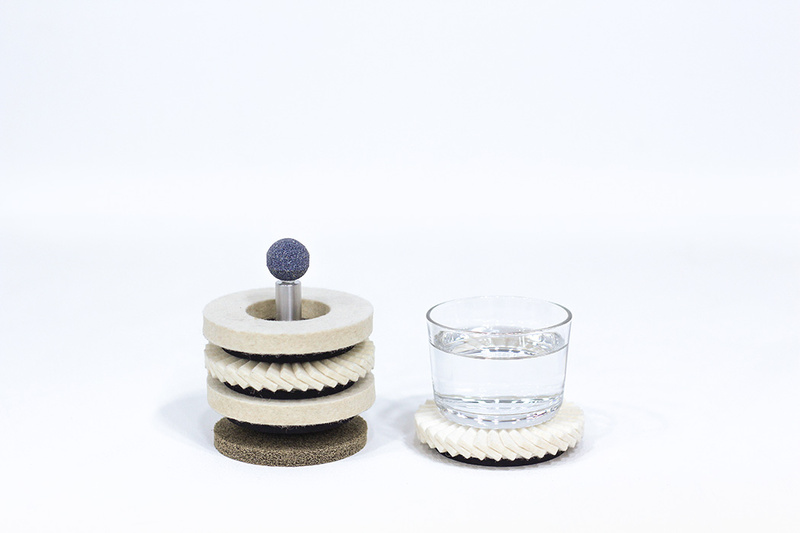 These coasters have holes in the middle made up of a 4-inch diameter disk, similar to a doughnut, and can be stacked on top of one another on a rack. 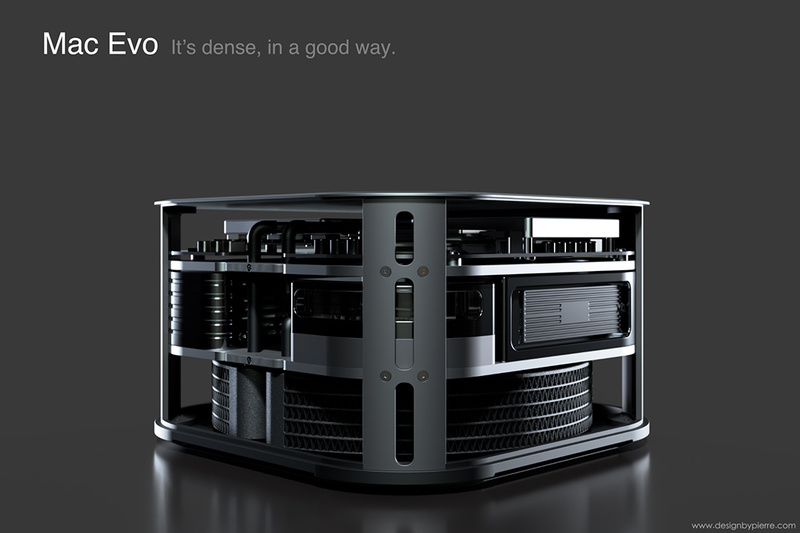 The rack comes in two size options. 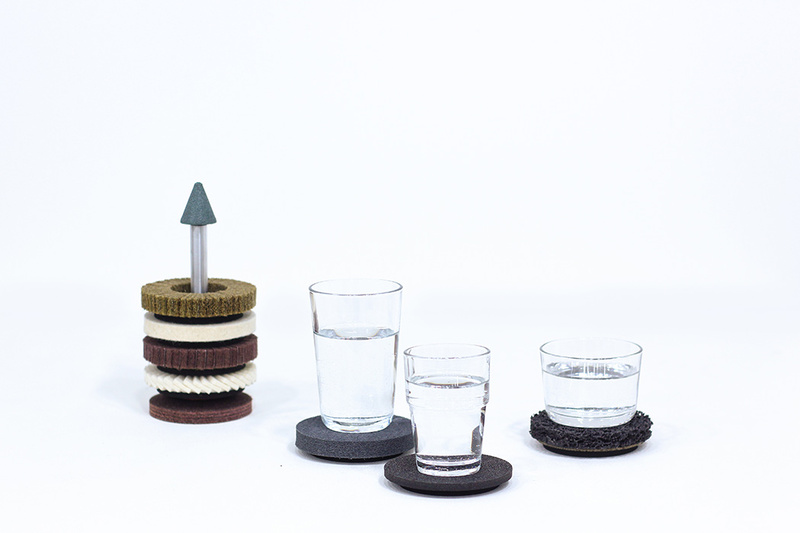 Its lid and bottom pad are made up of abrasives similar to the coasters which it holds. 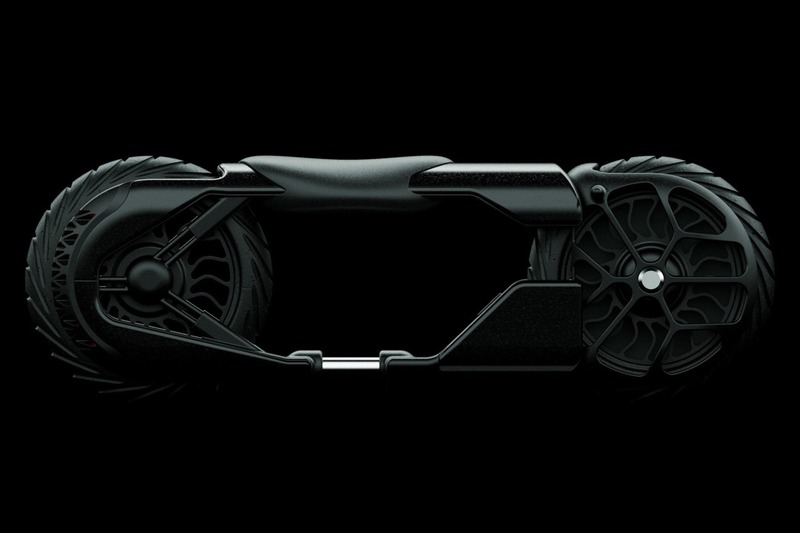 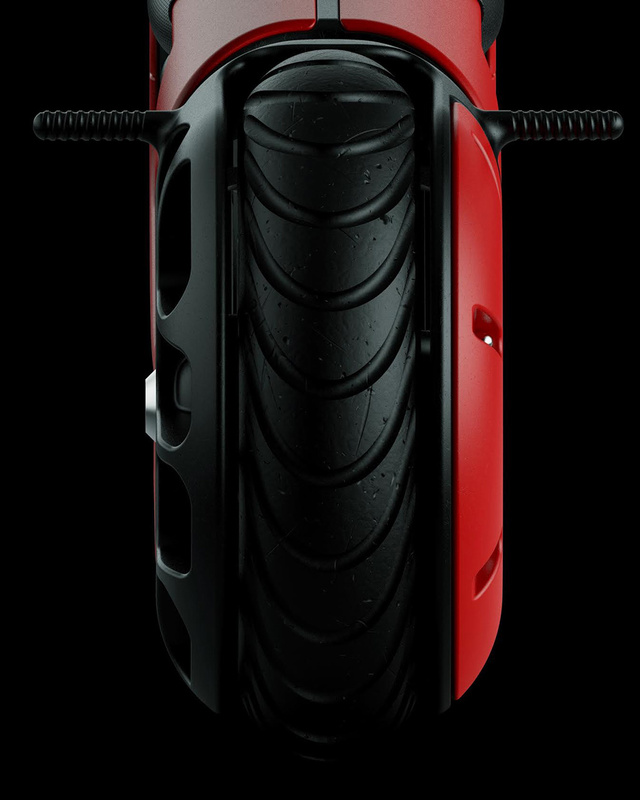 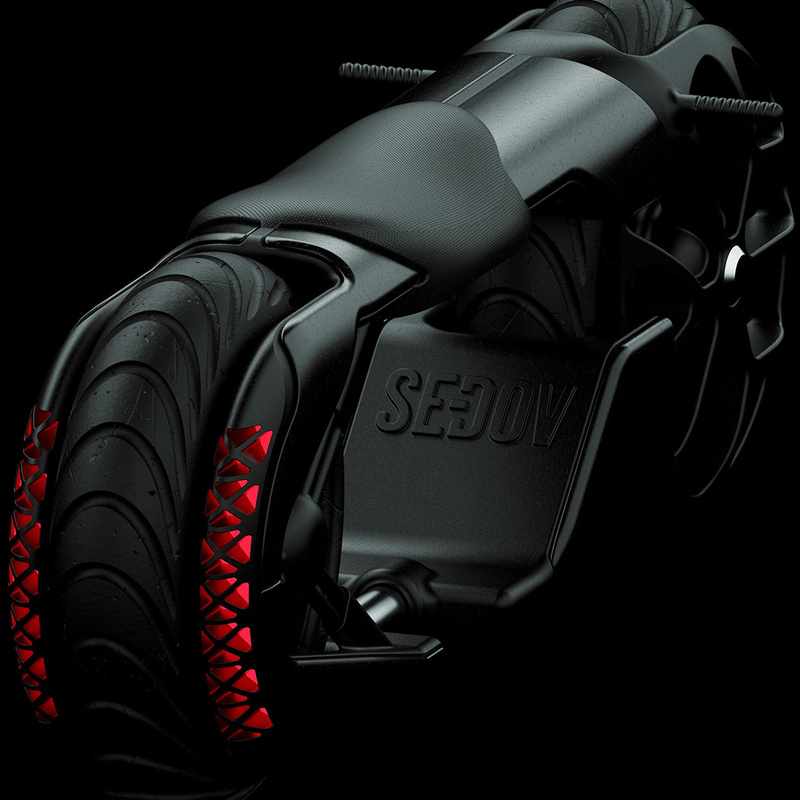 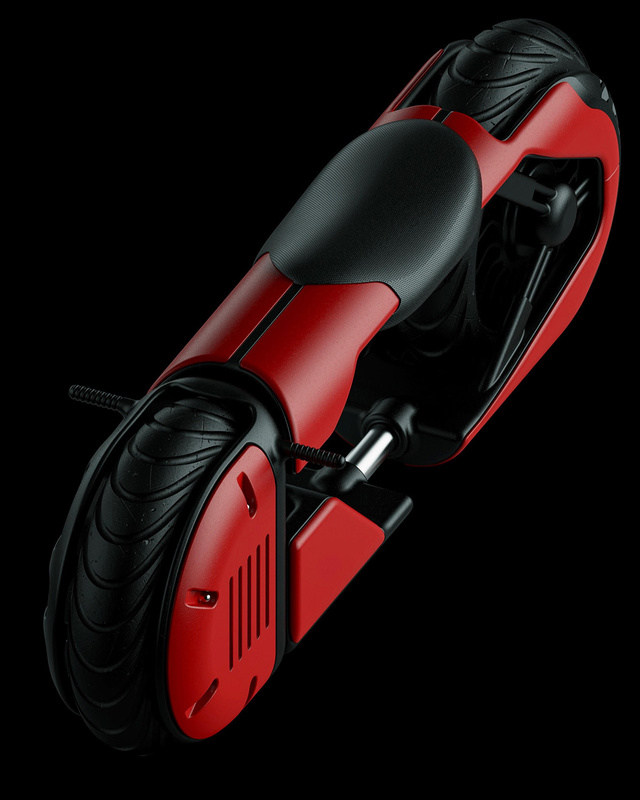 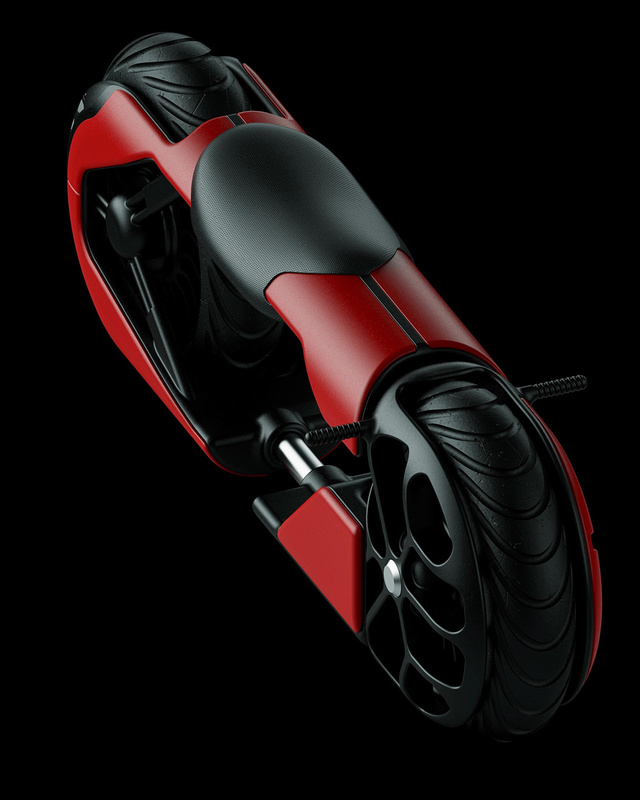 Designer Dennis Sedov’s first foray into motorcycle architecture takes the concept of ‘chopped’ to a whole new extreme. 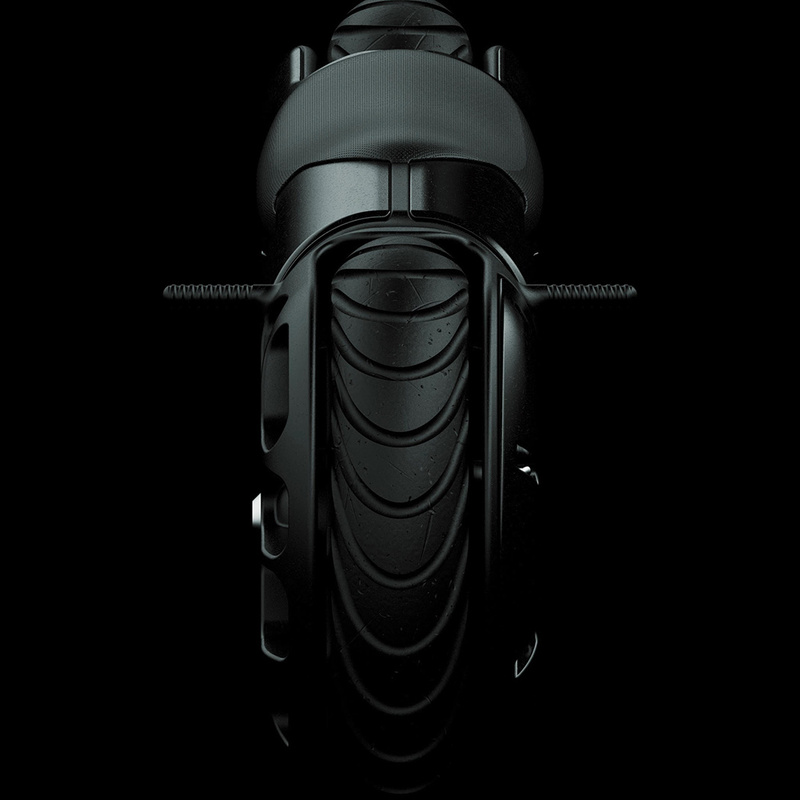 The minimalistic design, dubbed the B1, is technically a cafe racer thanks to its flat profile, low-slung handlebars, and overall disregard for comfort. 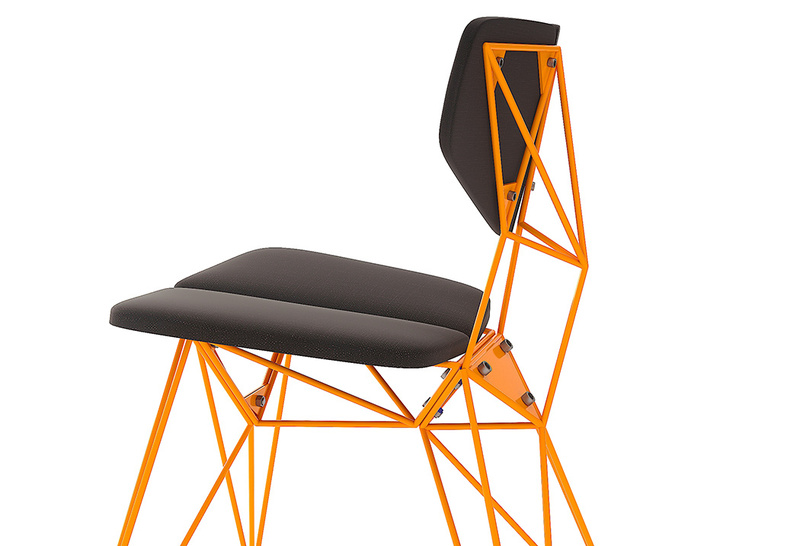 What it lacks in ergonomics, it makes up for in style. 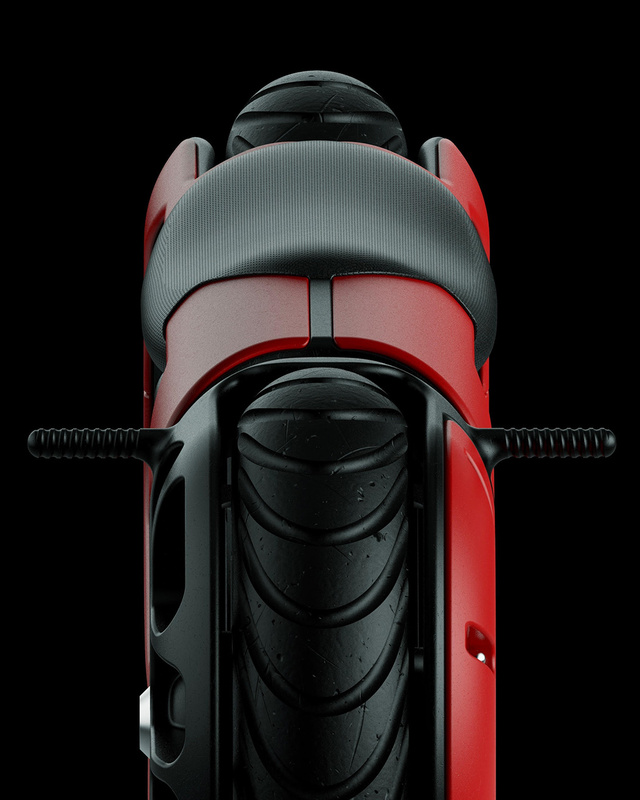 Flawlessly symmetrical, the aesthetic balances smooth body curves with straight edges and sharp details like triangular tail lights. 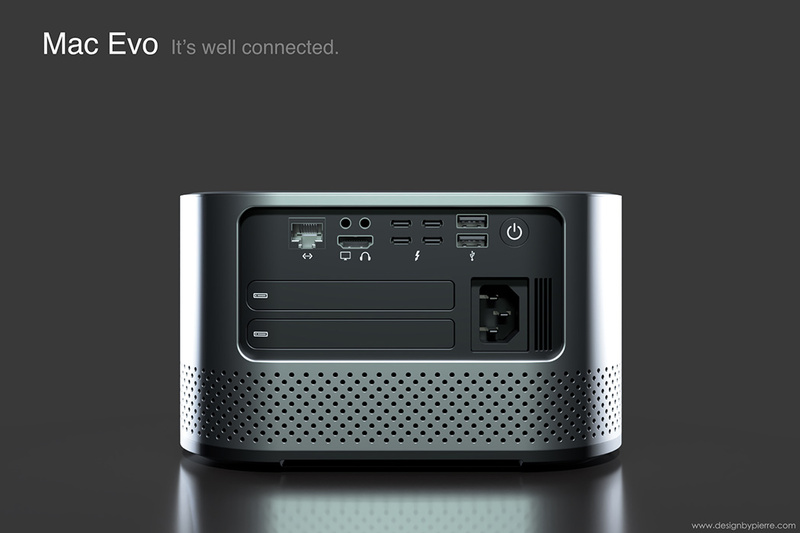 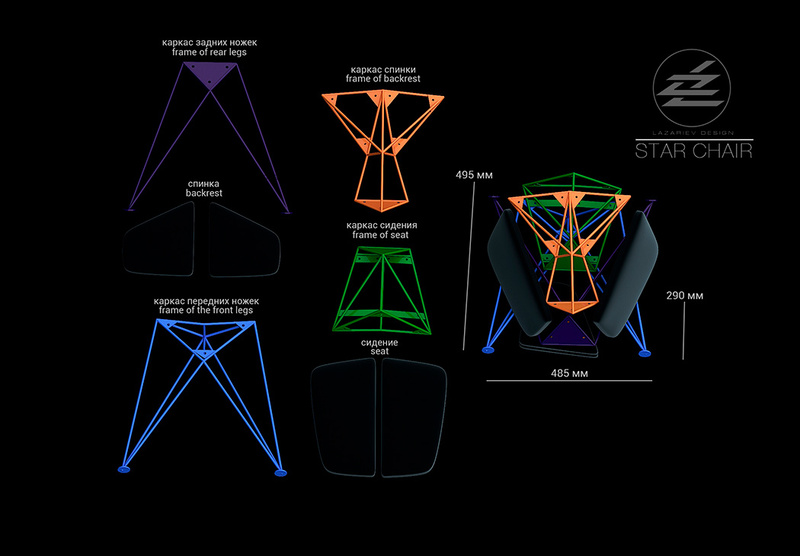 The focal point of the design, however, is a center section completely void of anything. 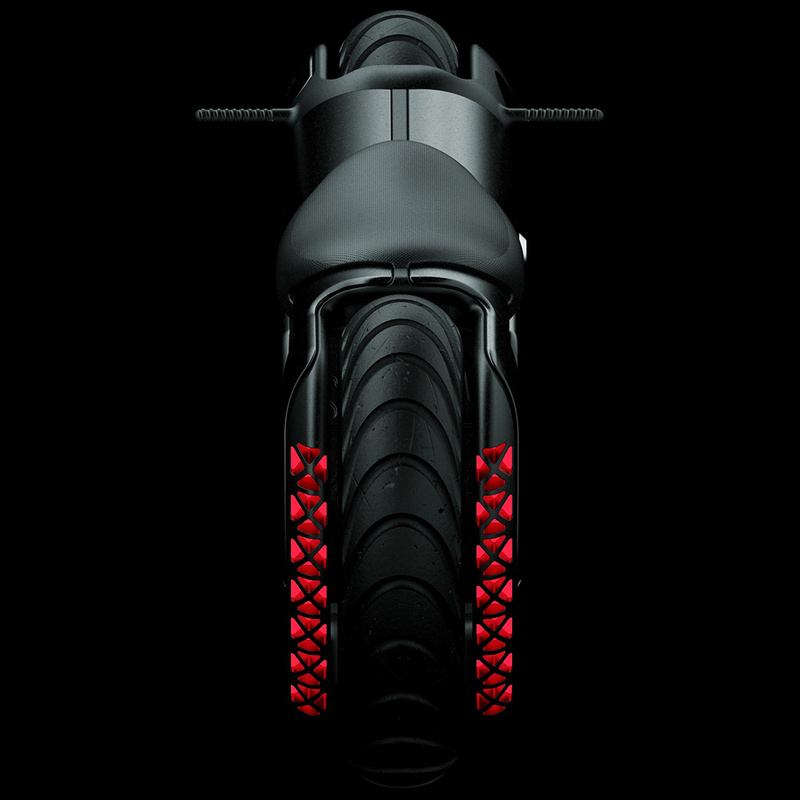 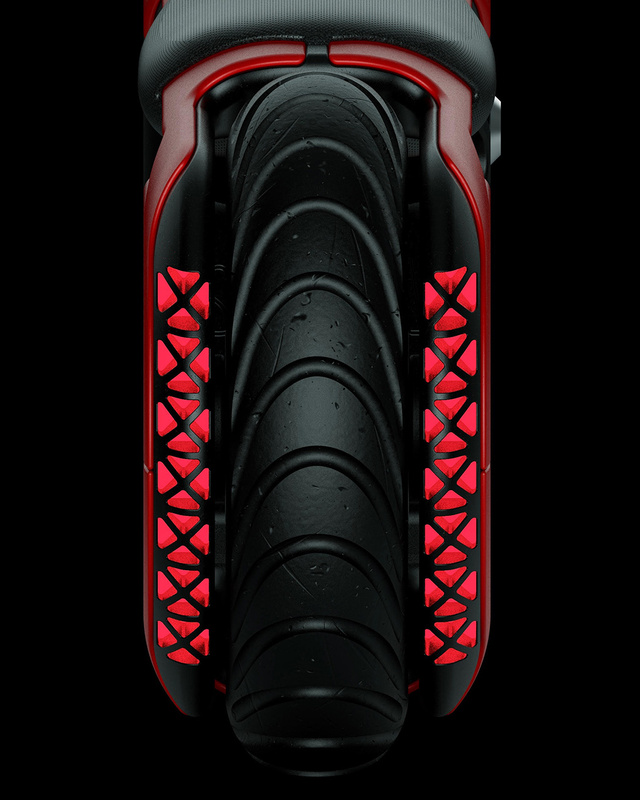 This highlights the bike’s electric DNA and leaves the imagination to contemplate the source of its power.